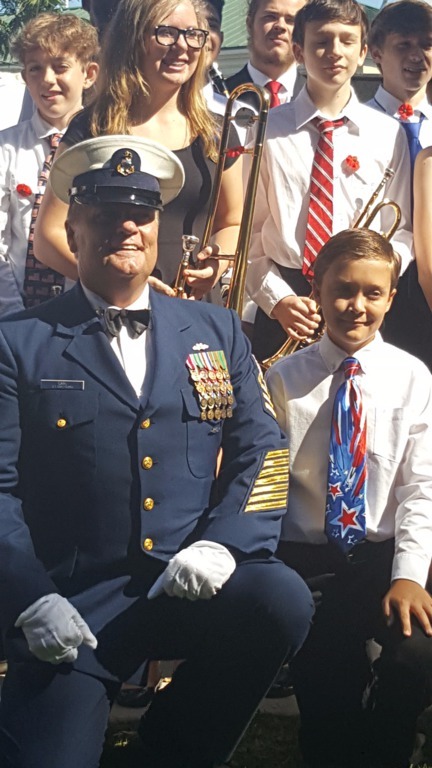 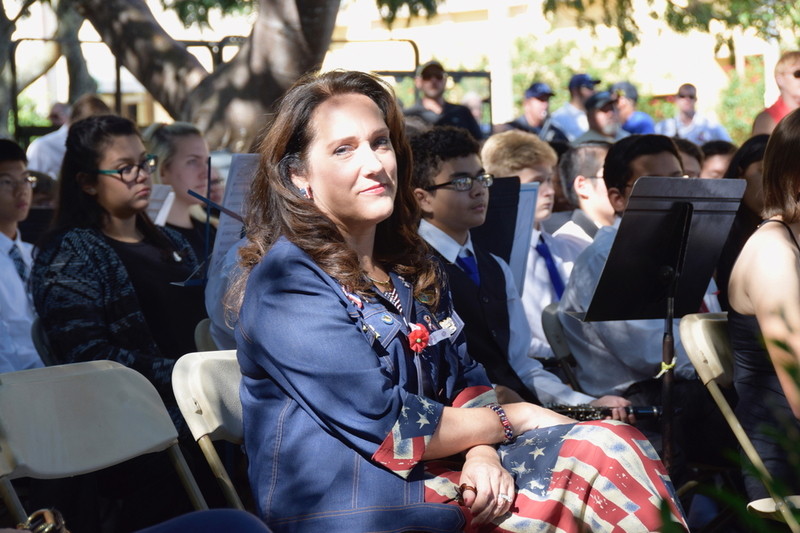 Thank you to Heather Corace for capturing these moments from our 2017 Veterans Day Celebration. 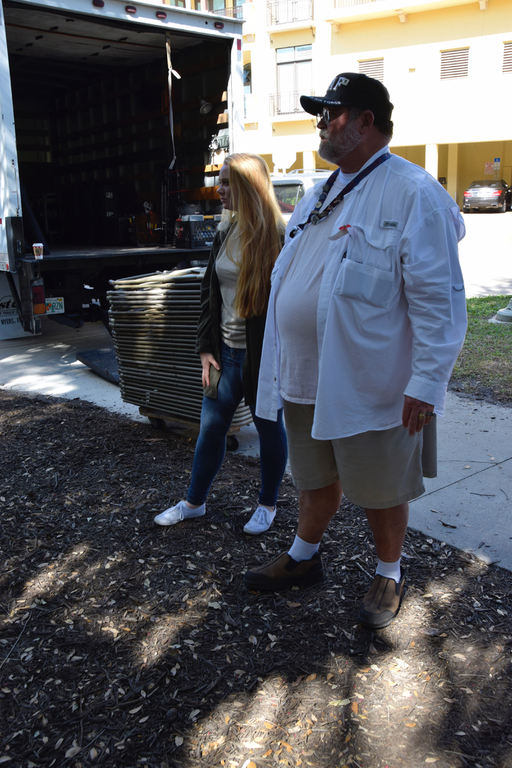 Thank you so much to Tom Donahue from Shula's Steakhouse for sponsoring and donating the video to the council. 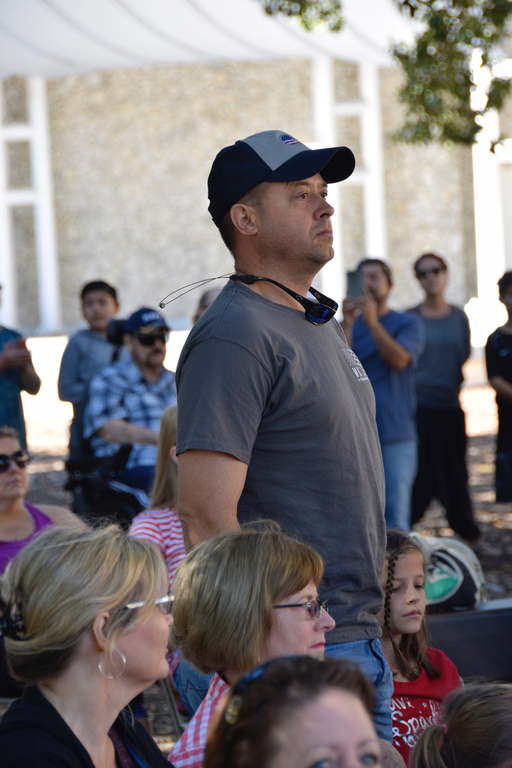 Also, a huge thank you to Hugh's Production for the professional job on the photographs and video! 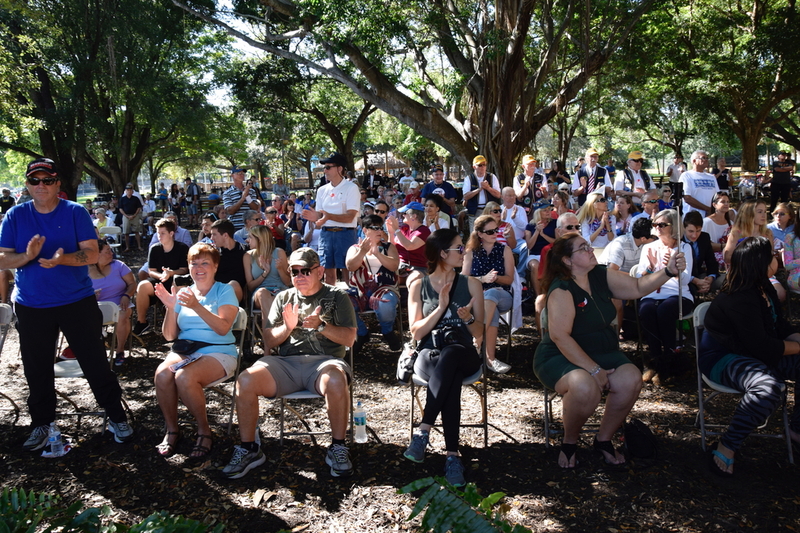 Thank you for capturing these moments posted below!! 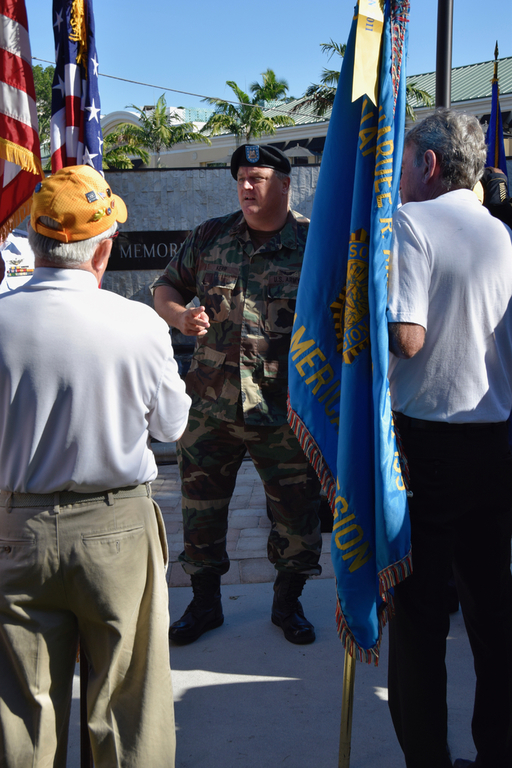 Awarding Joan Colosimo with the Order of Kentucky Colonels at the January Meeting. 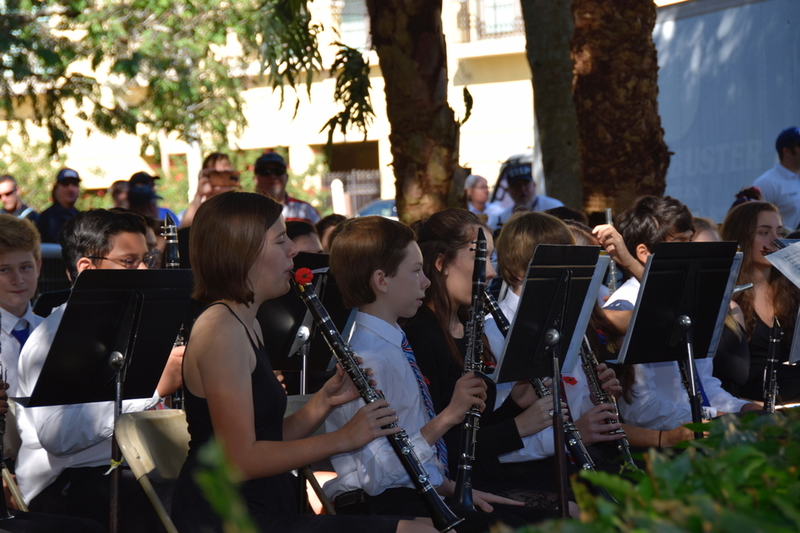 Special Thanks to Heather Corace for her photos. 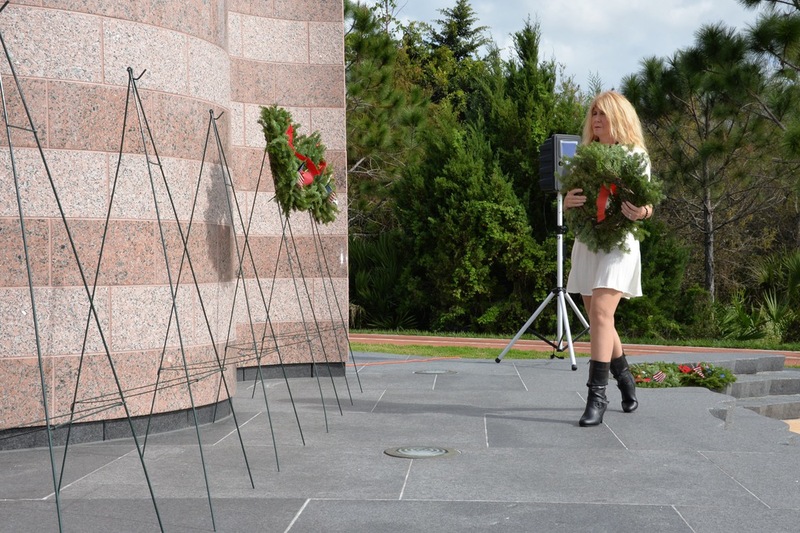 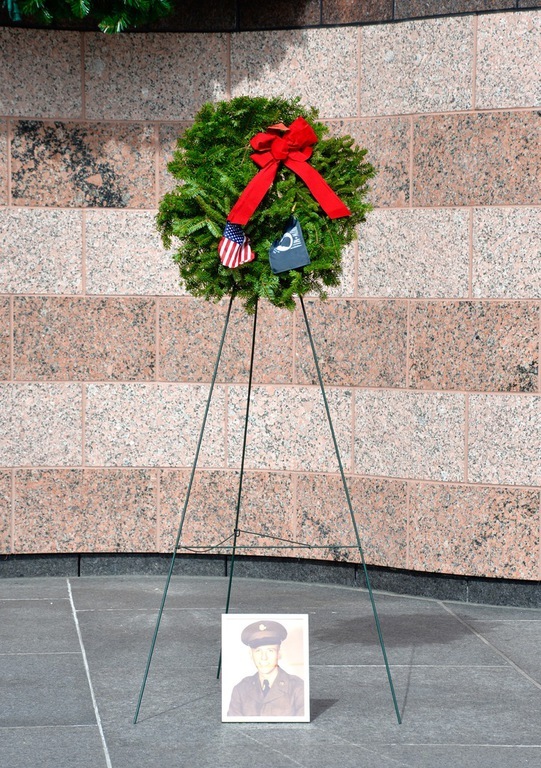 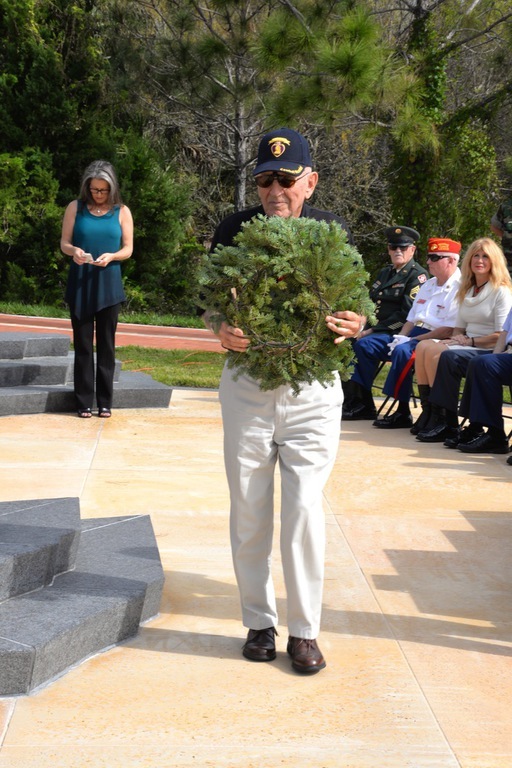 Wreath Laying Ceremony at Naples Freedom Memorial Park on Golden Gate Parkway. 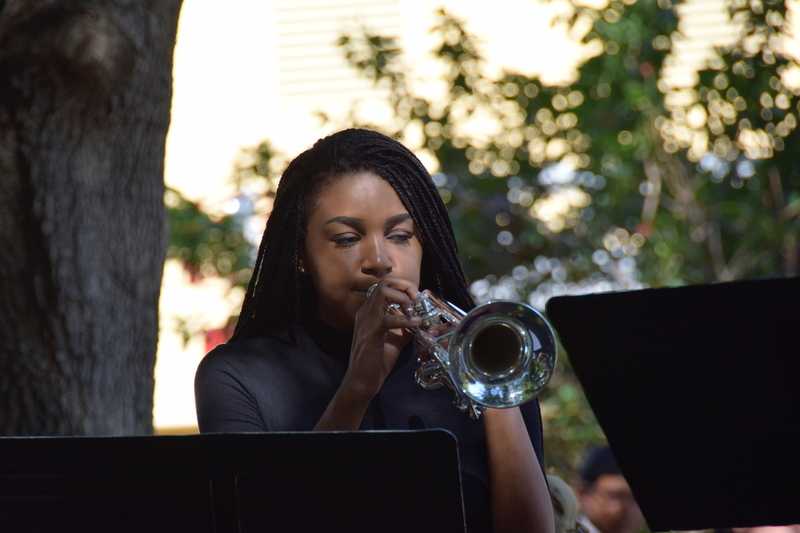 Special Thanks to Heather Corace for her photos. 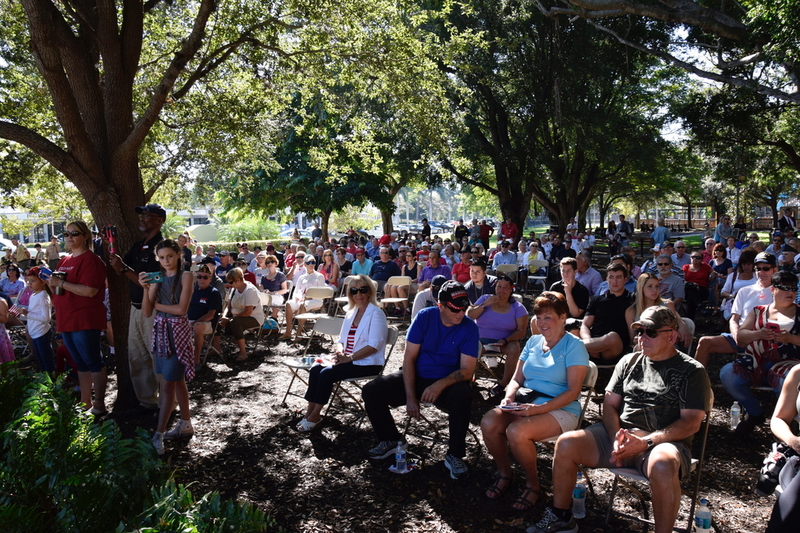 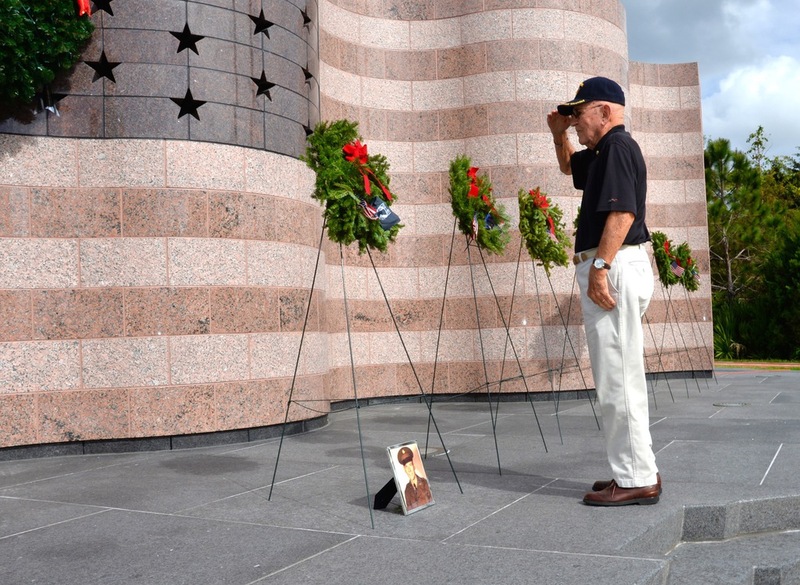 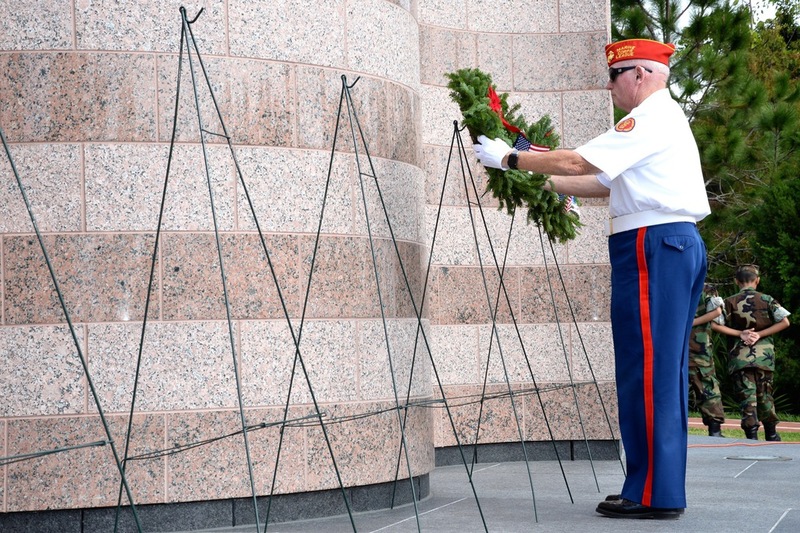 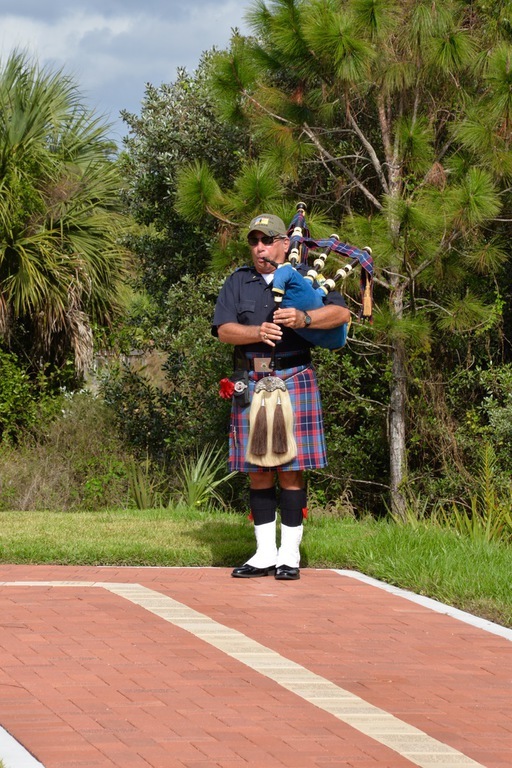 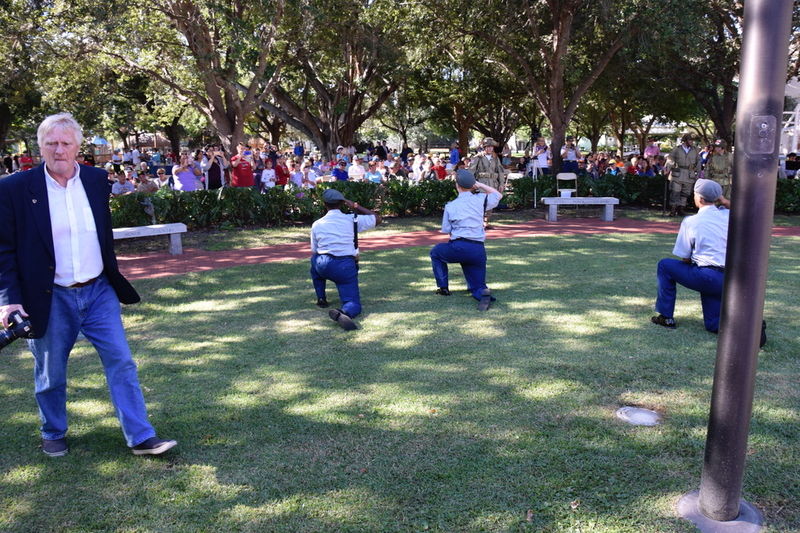 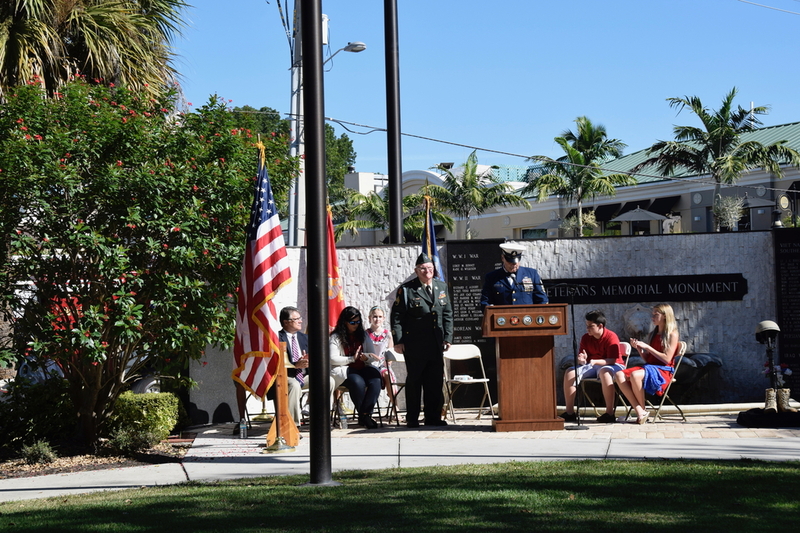 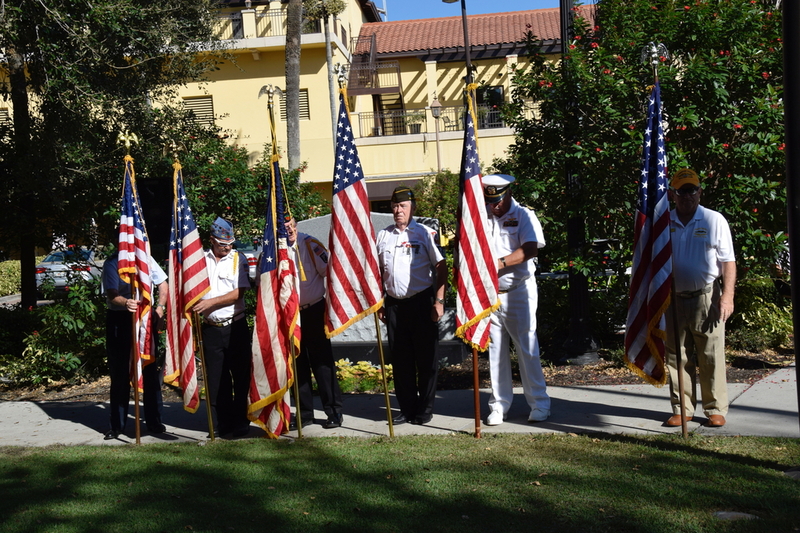 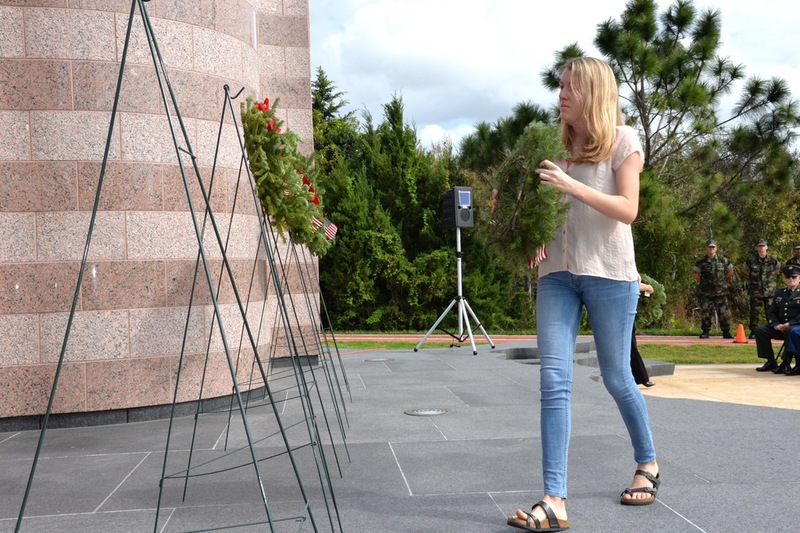 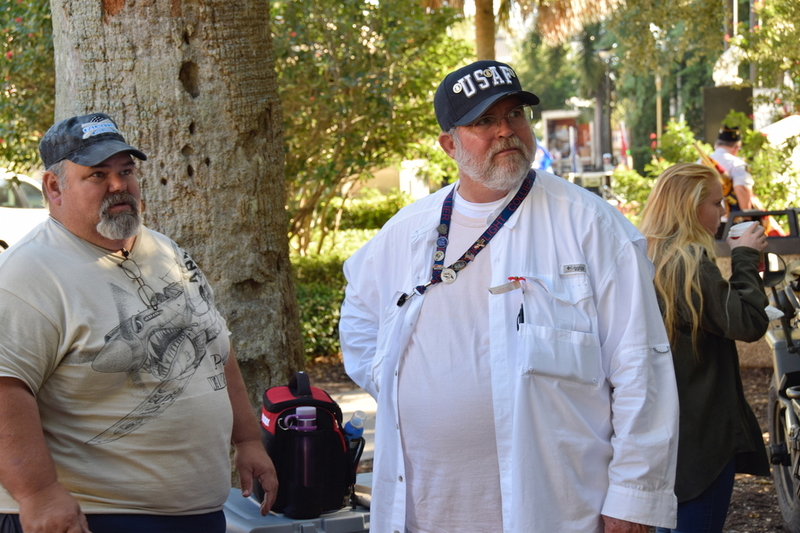 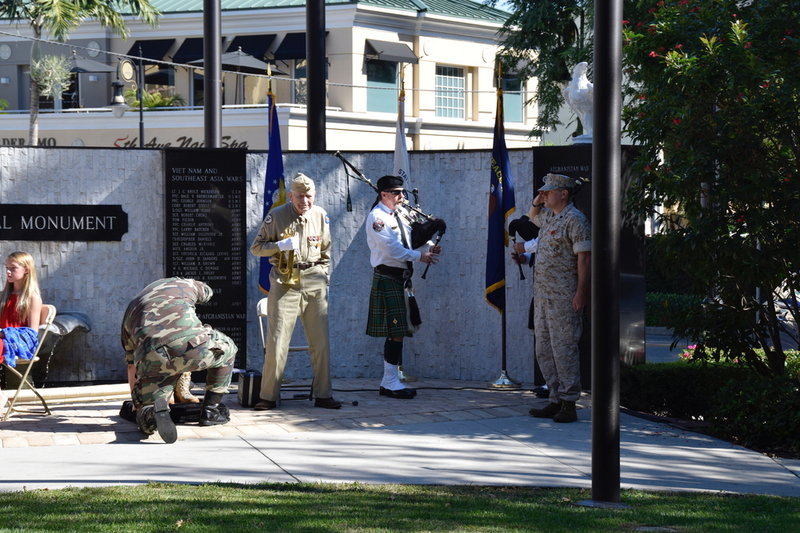 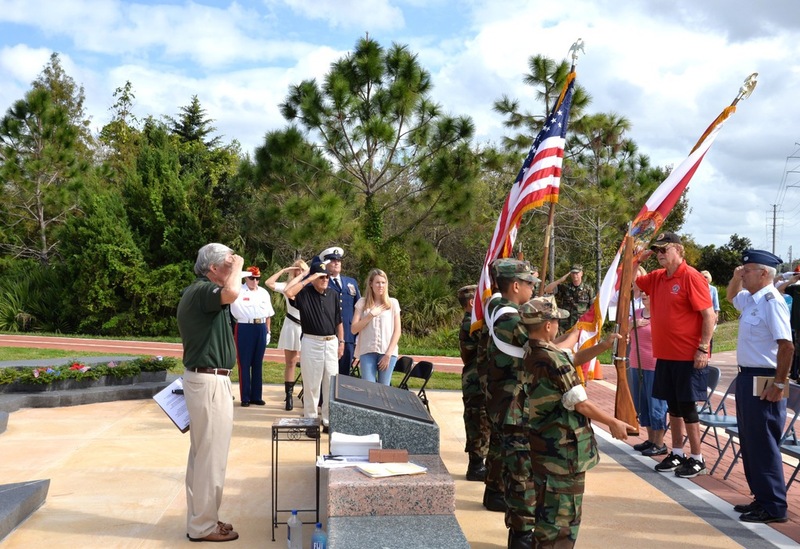 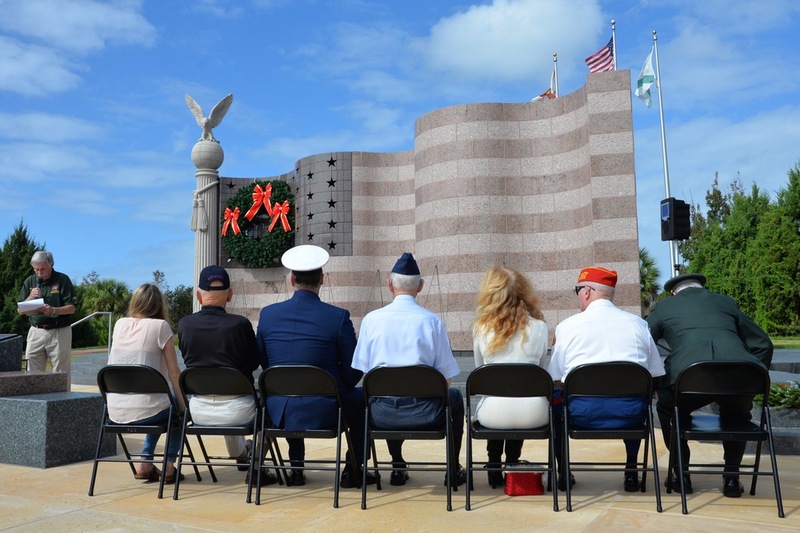 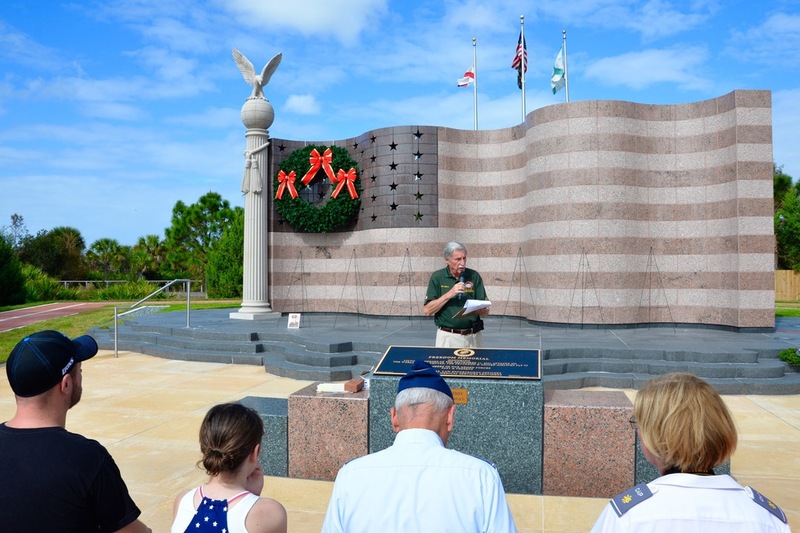 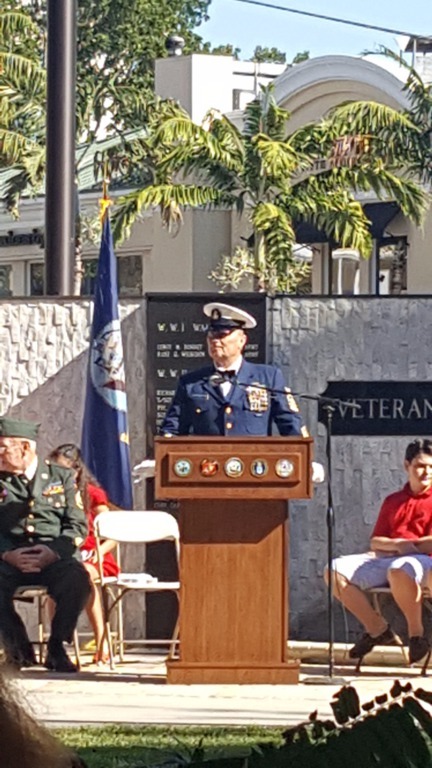 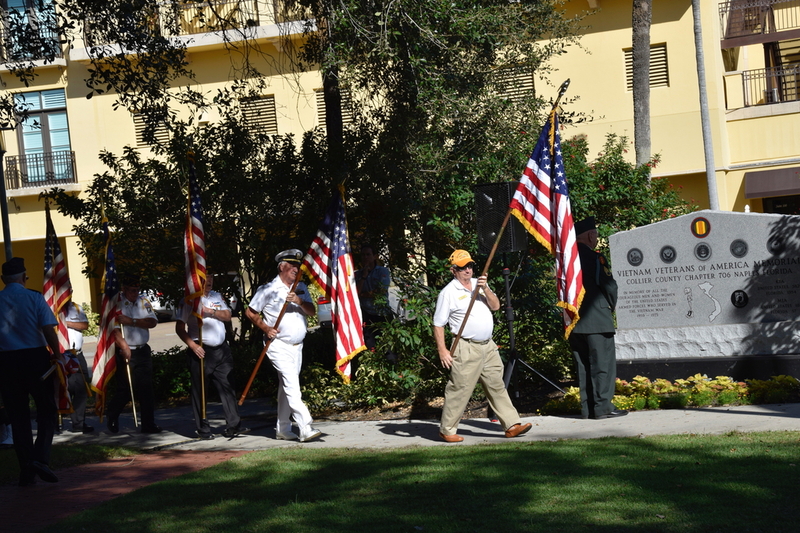 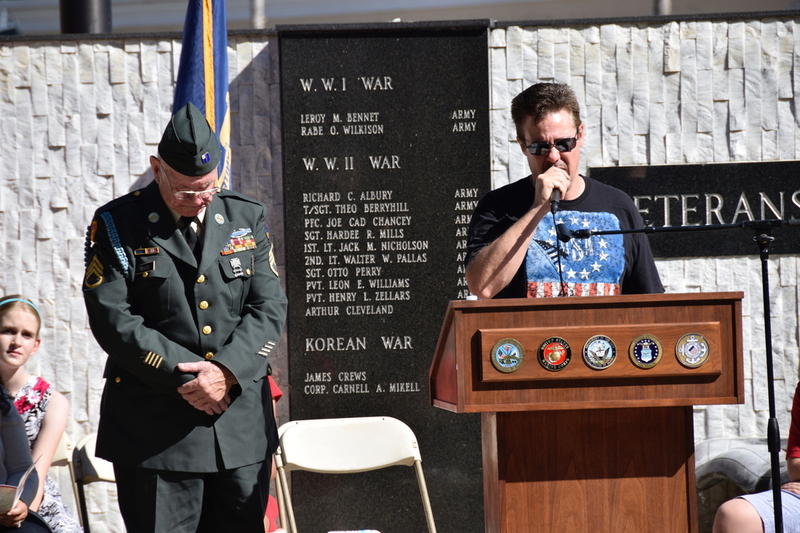 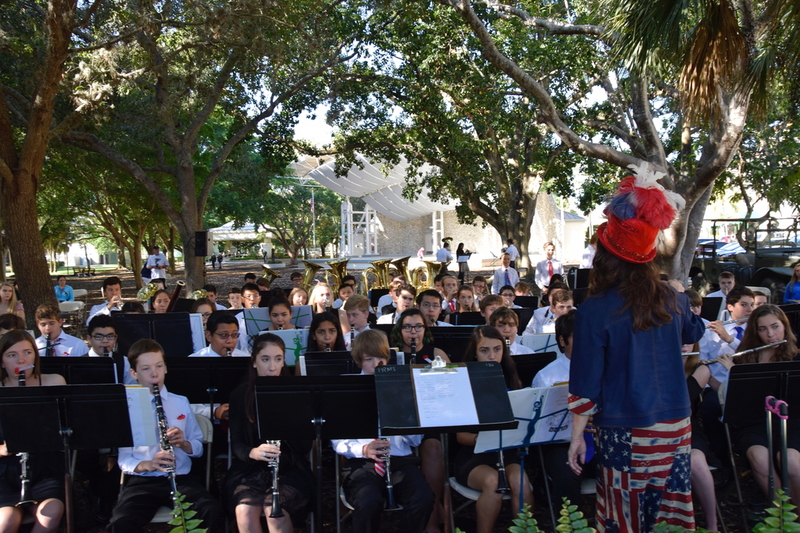 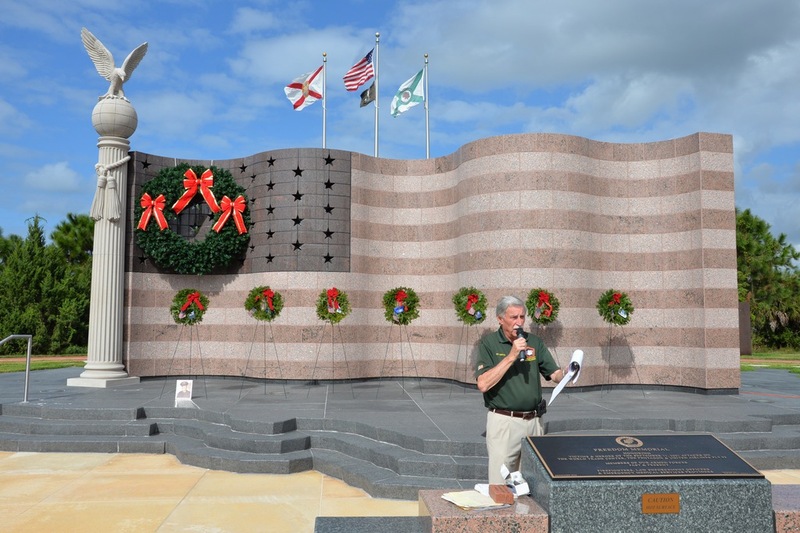 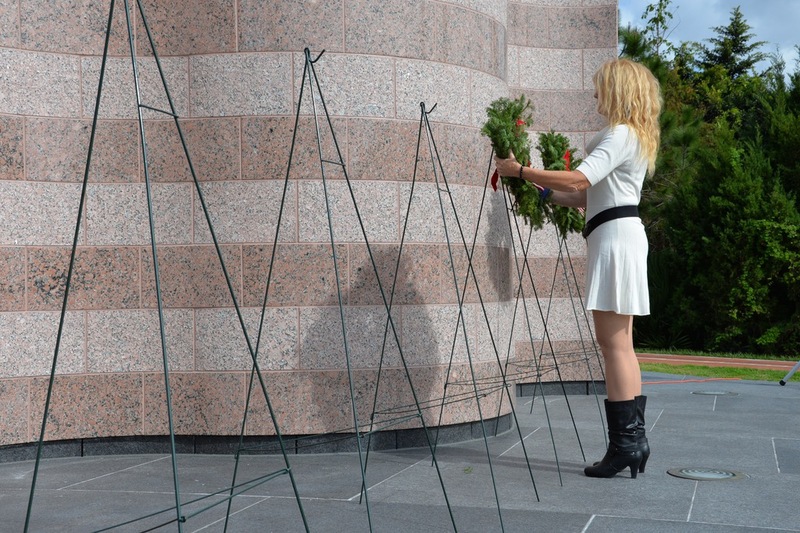 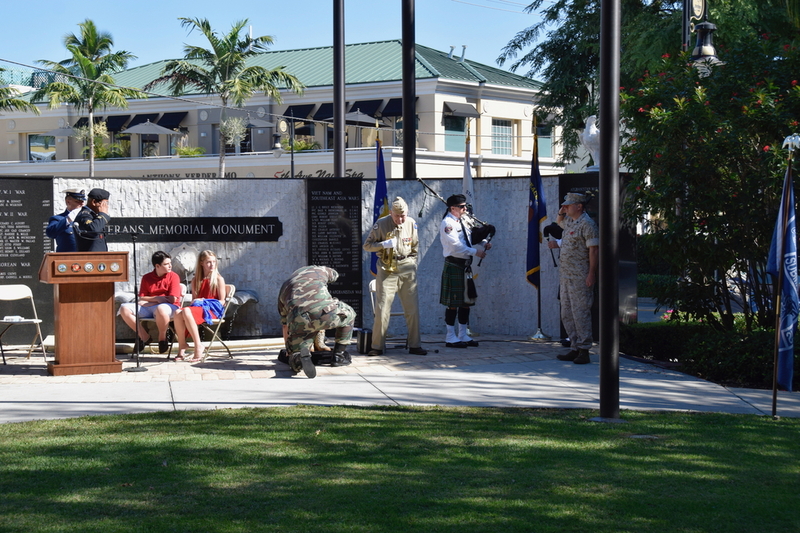 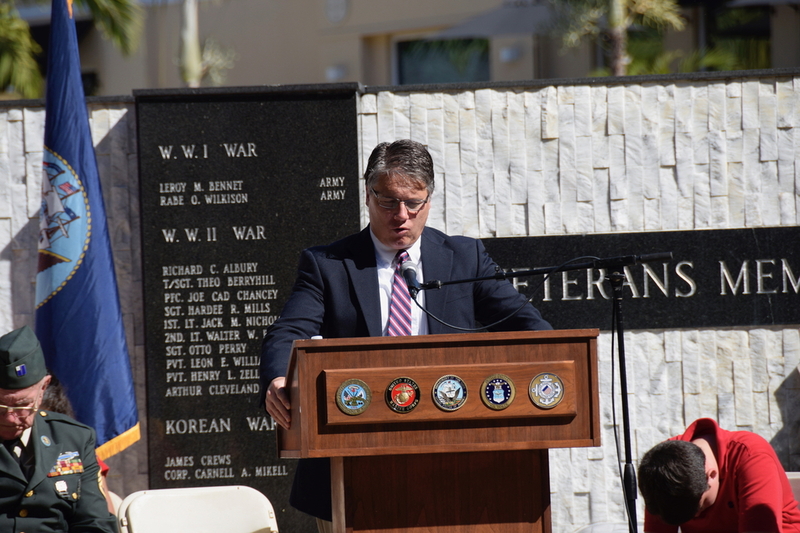 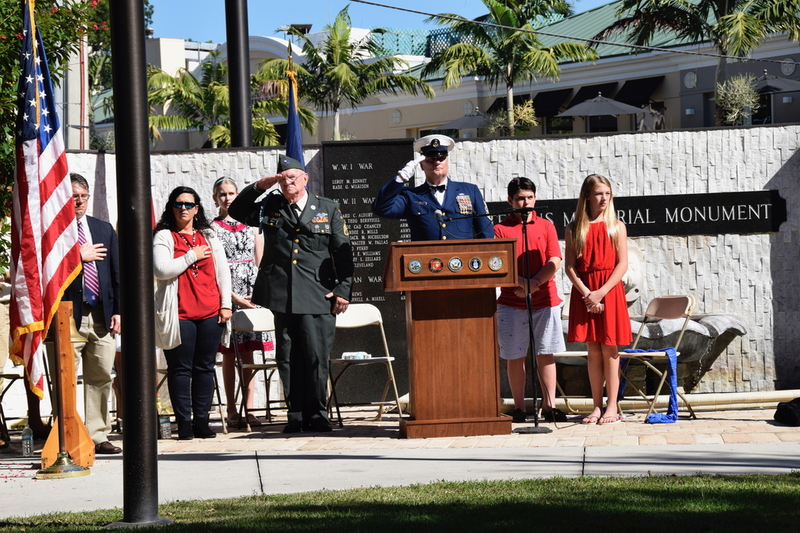 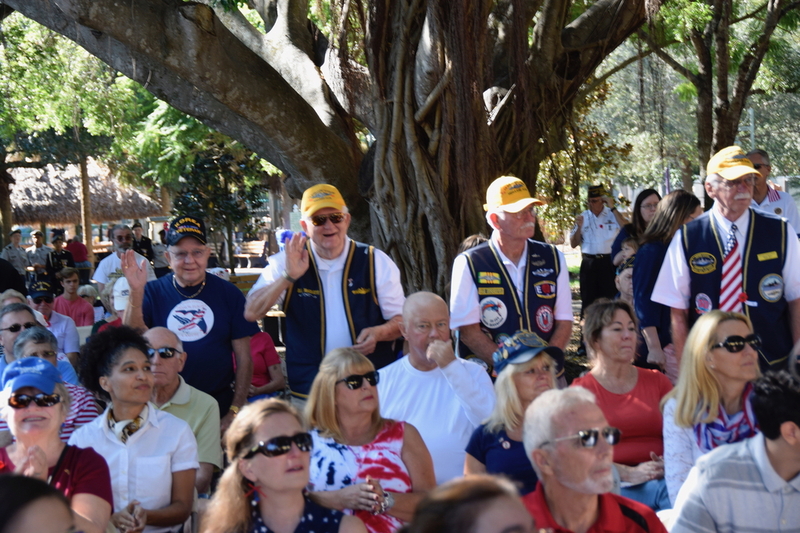 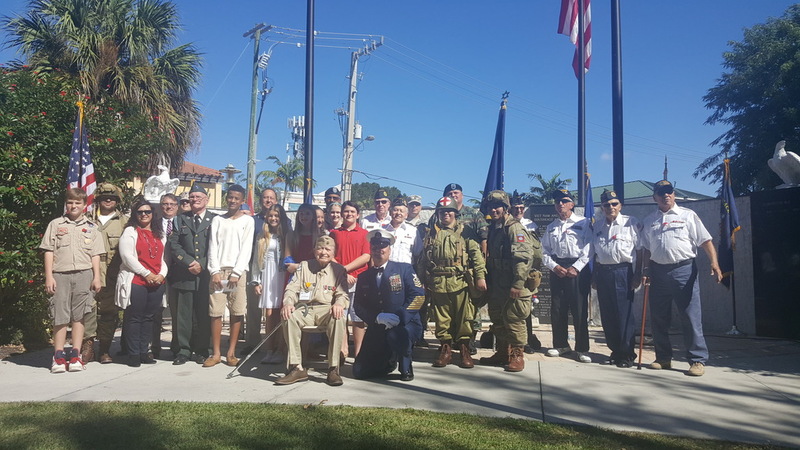 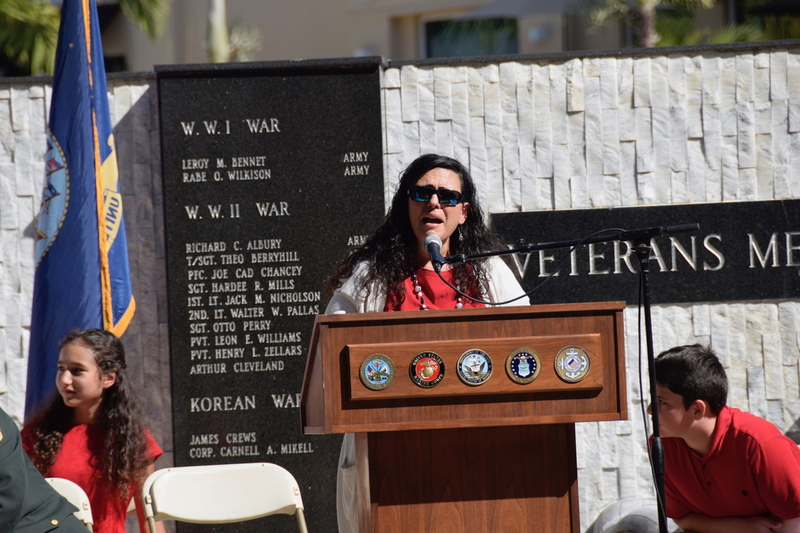 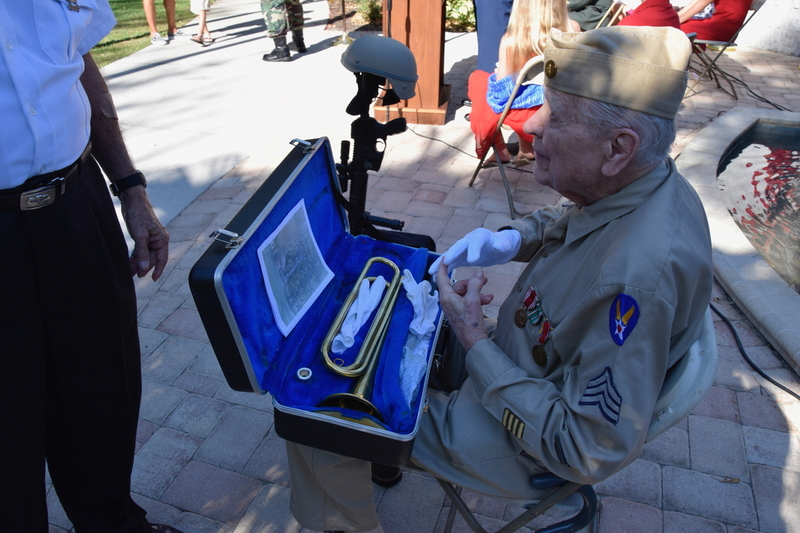 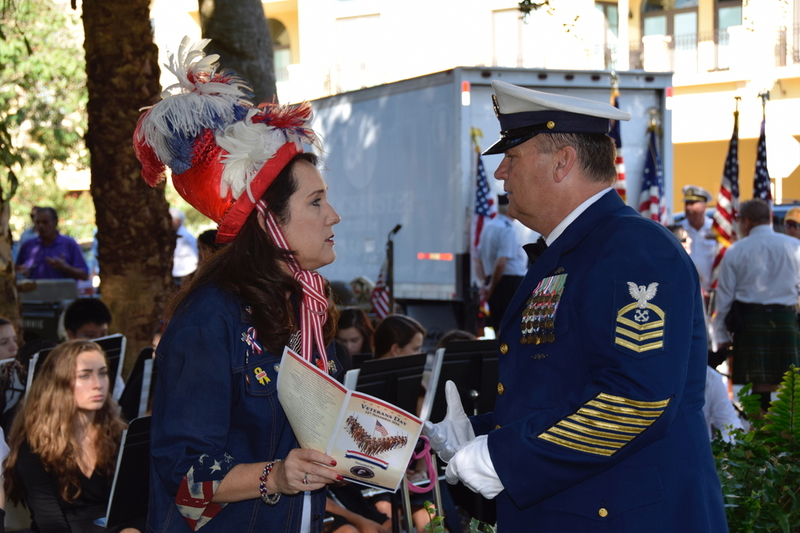 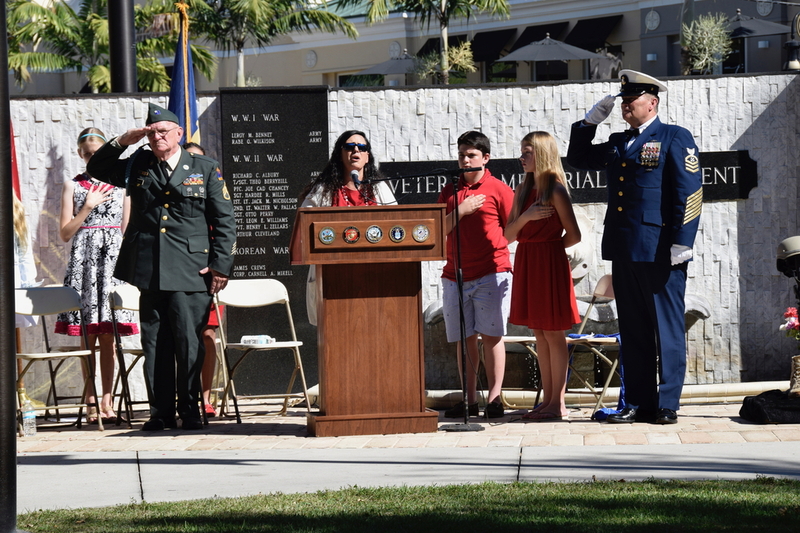 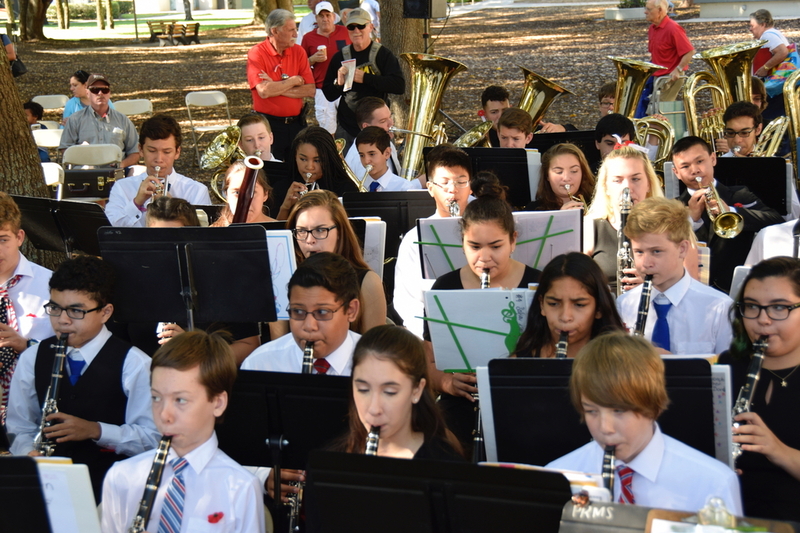 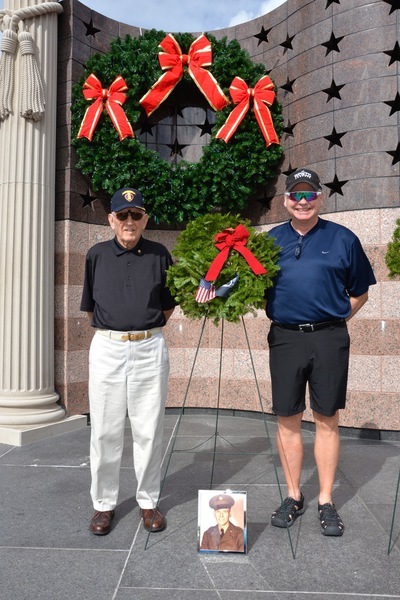 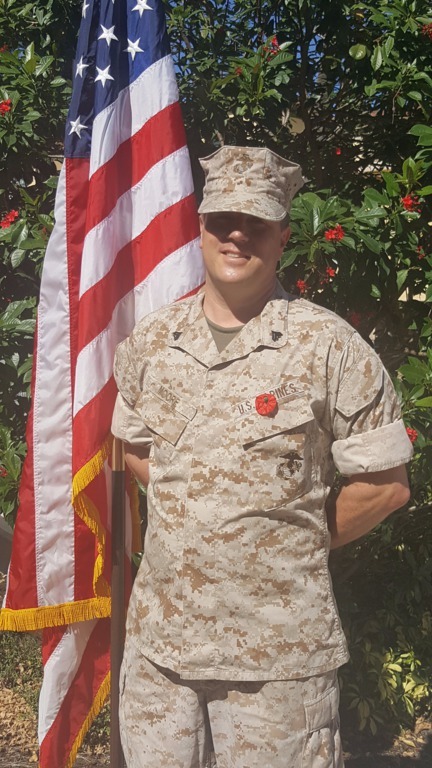 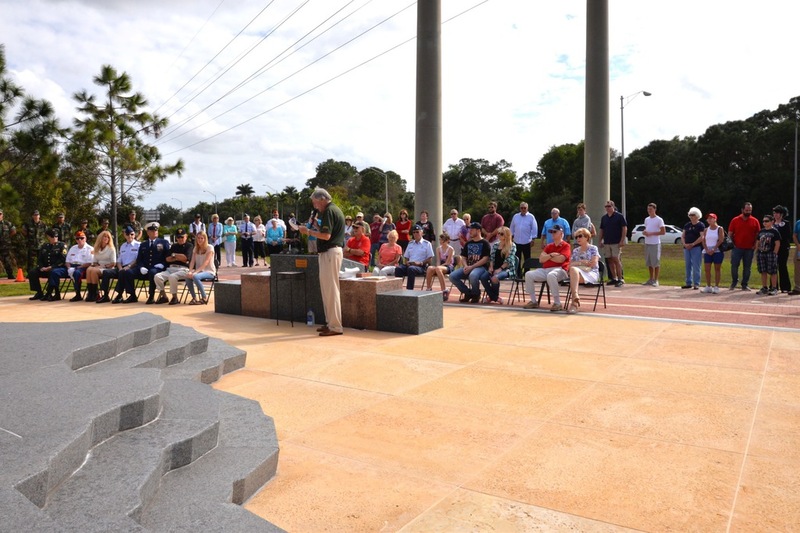 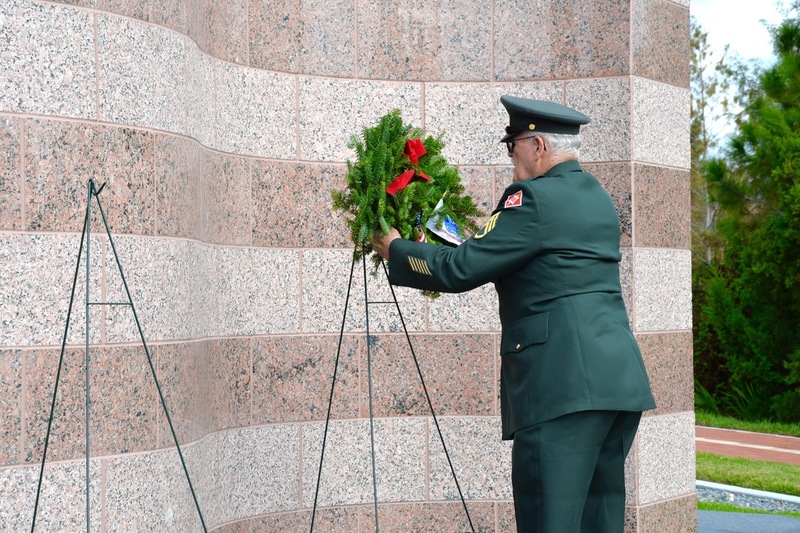 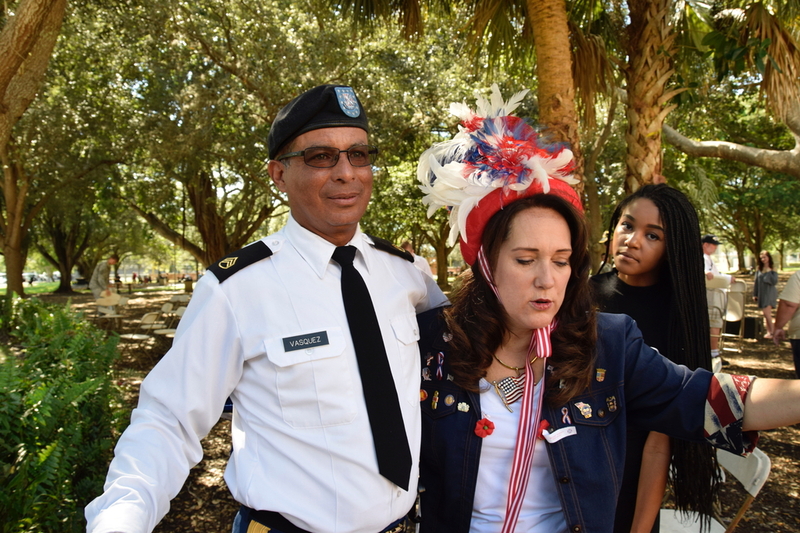 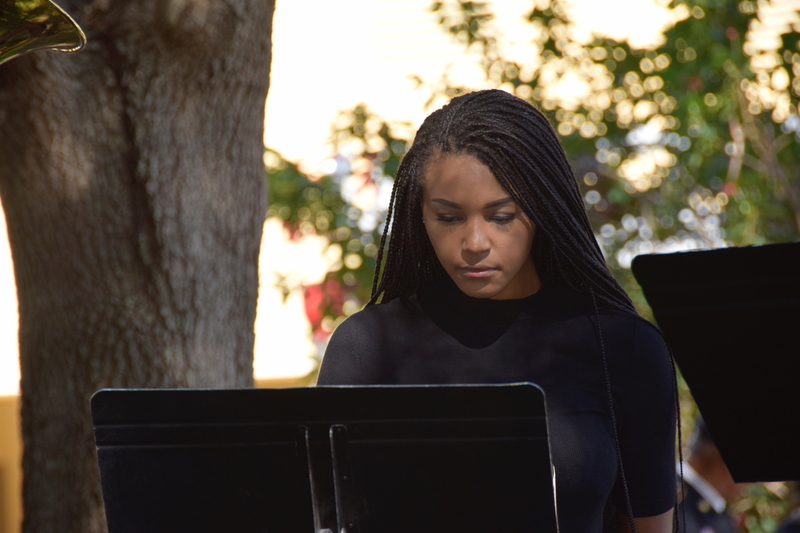 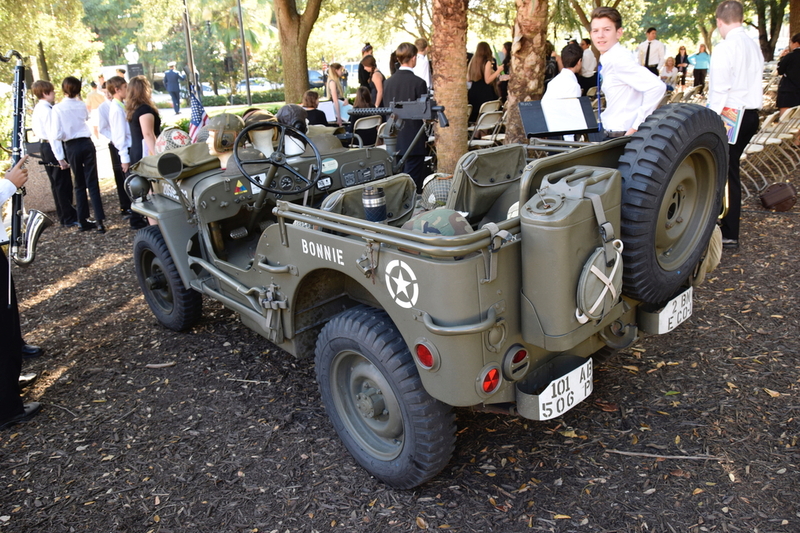 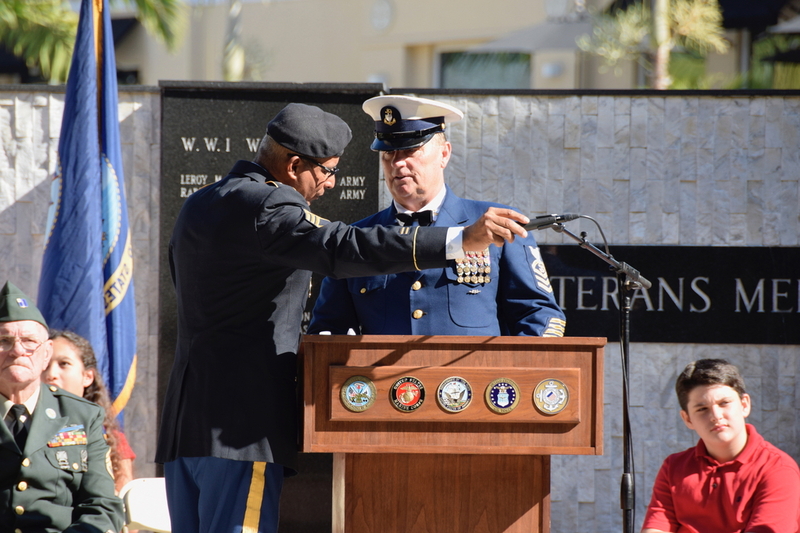 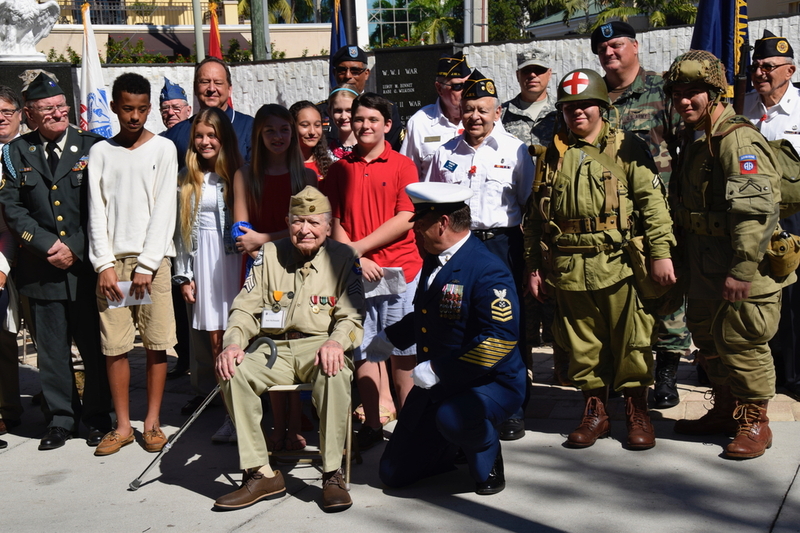 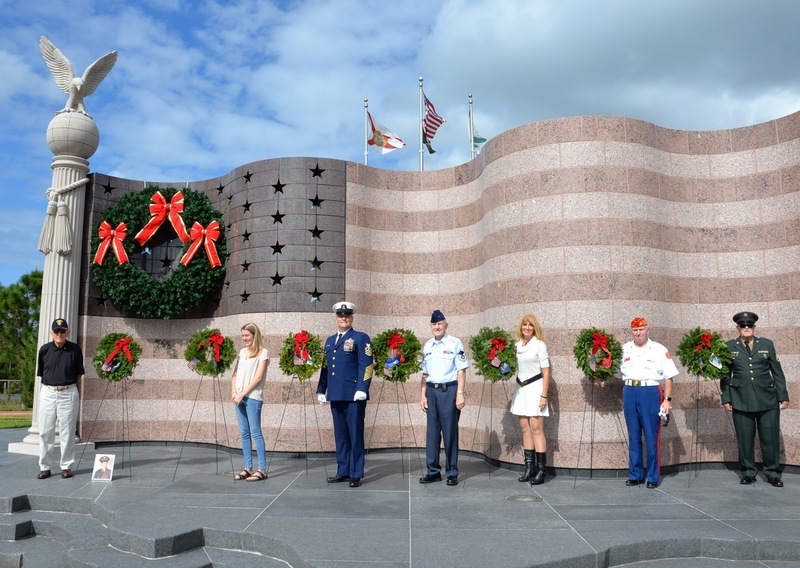 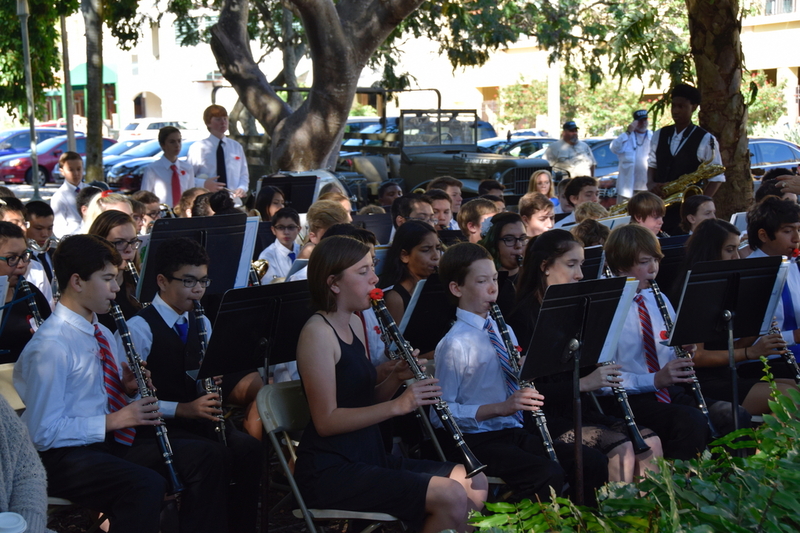 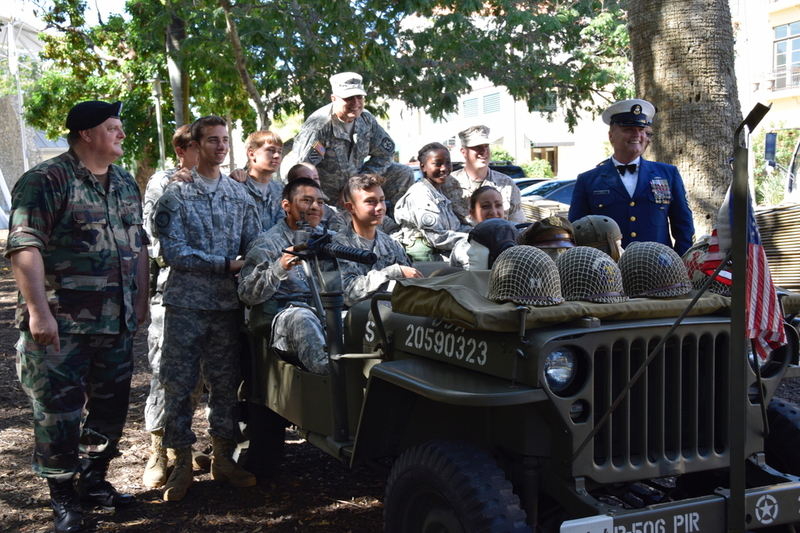 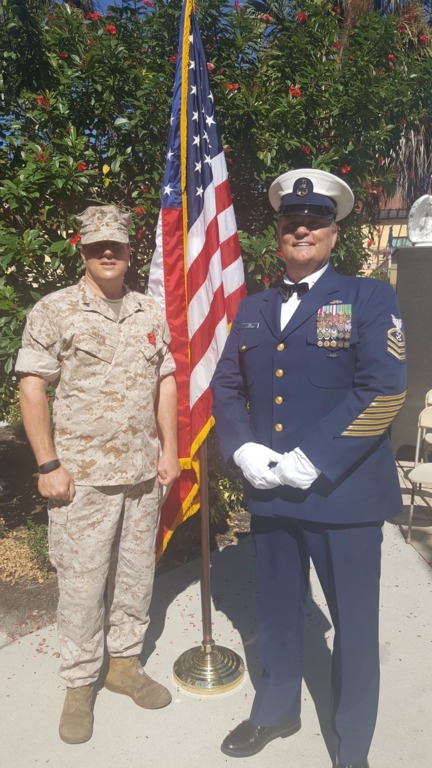 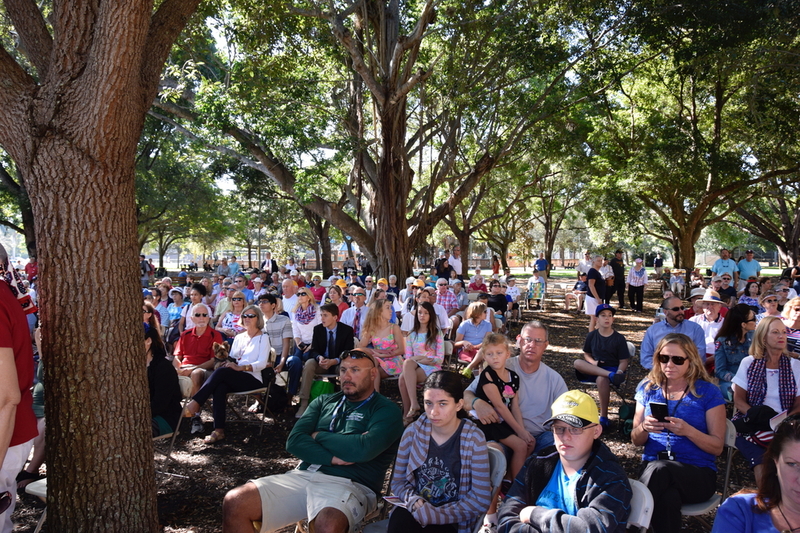 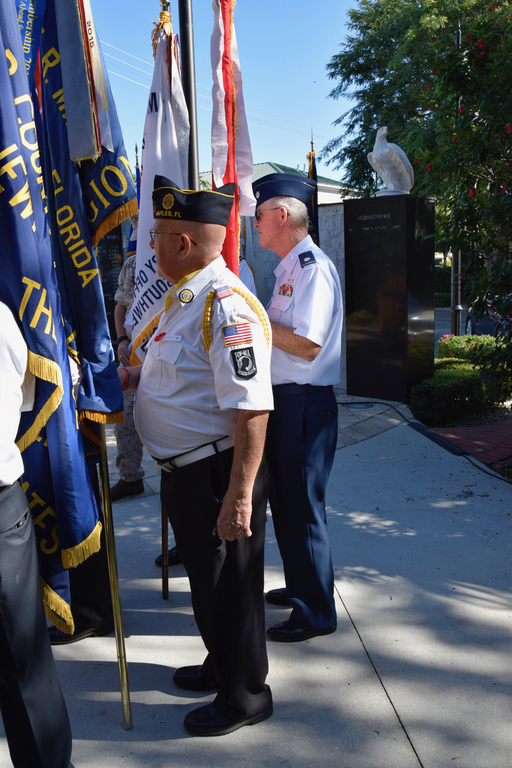 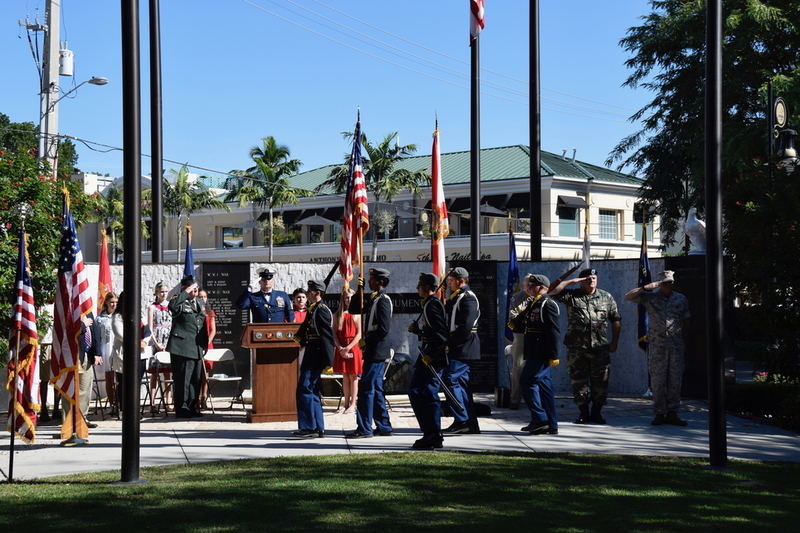 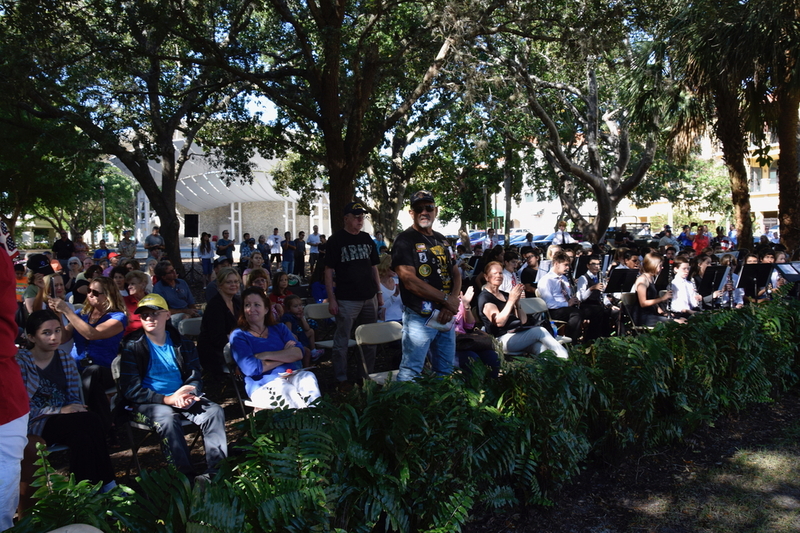 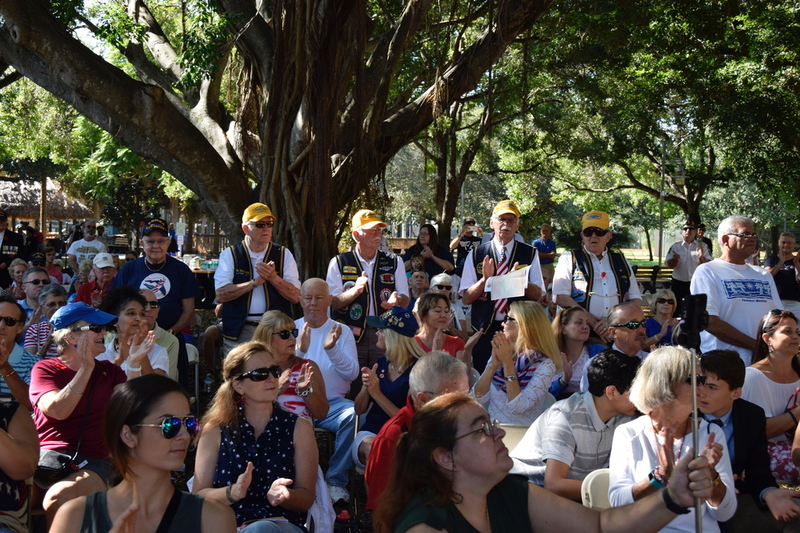 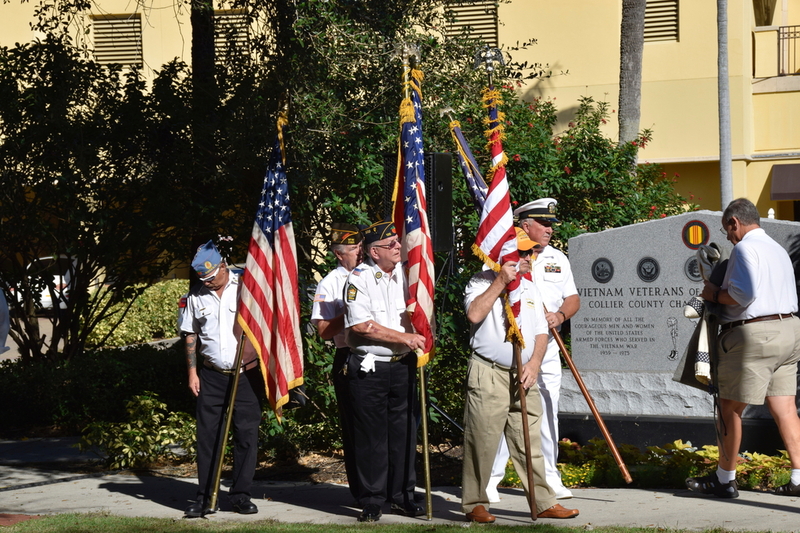 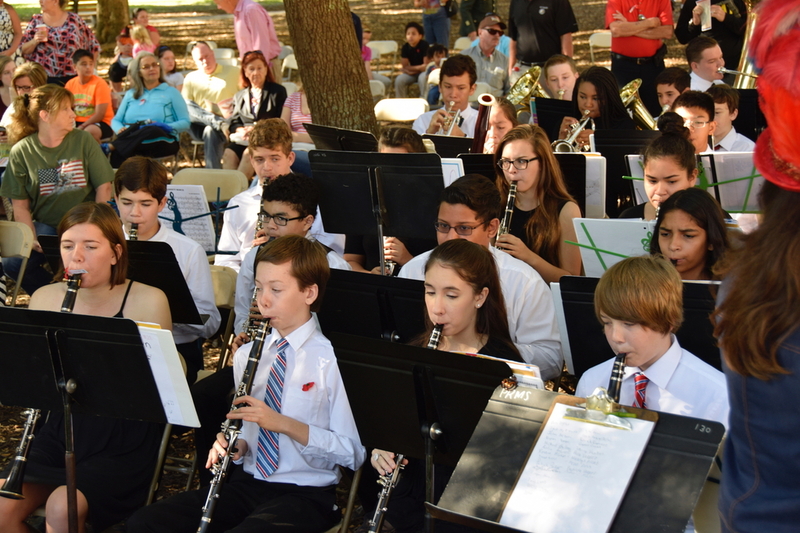 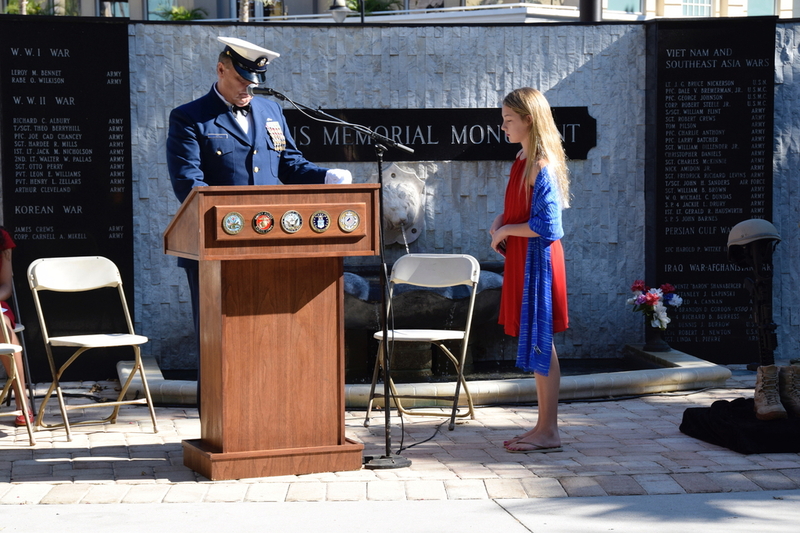 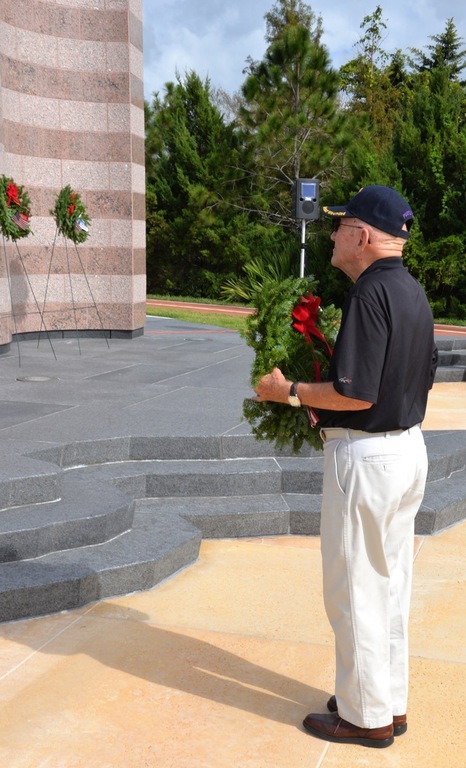 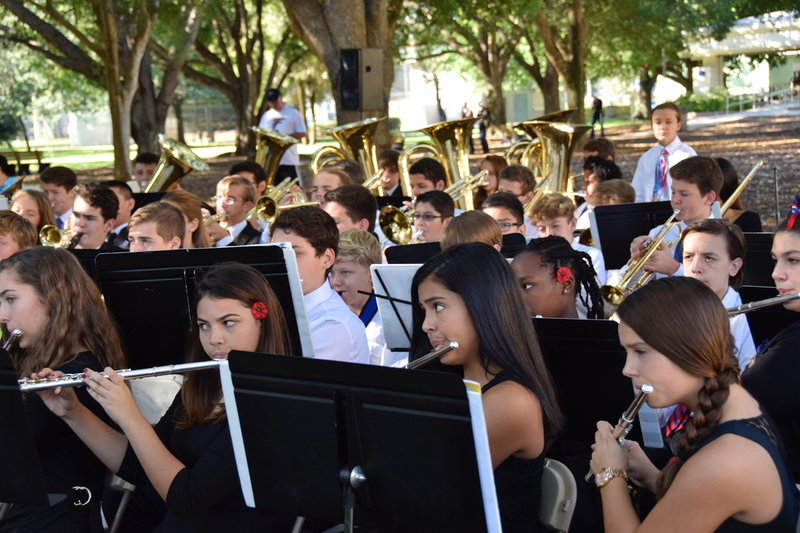 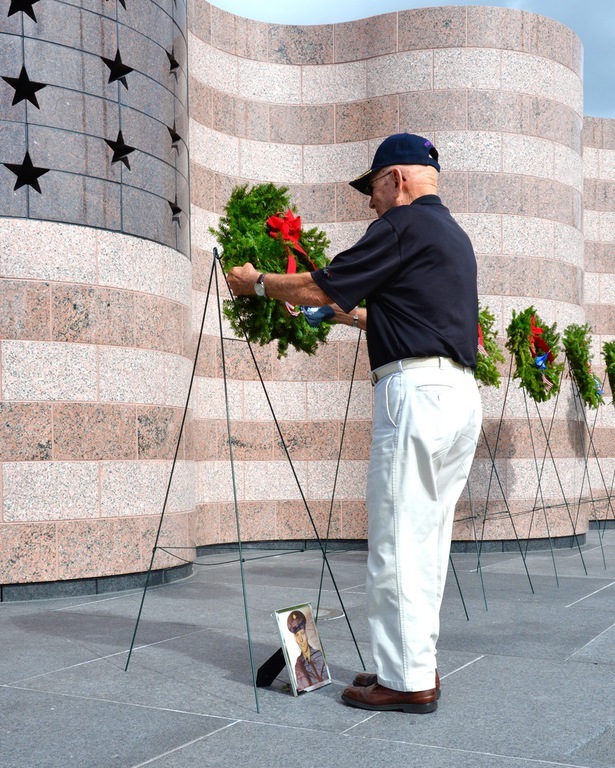 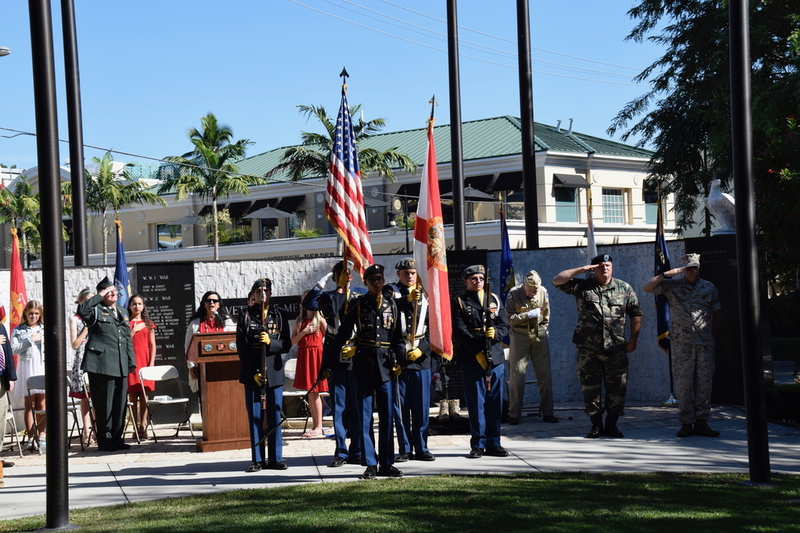 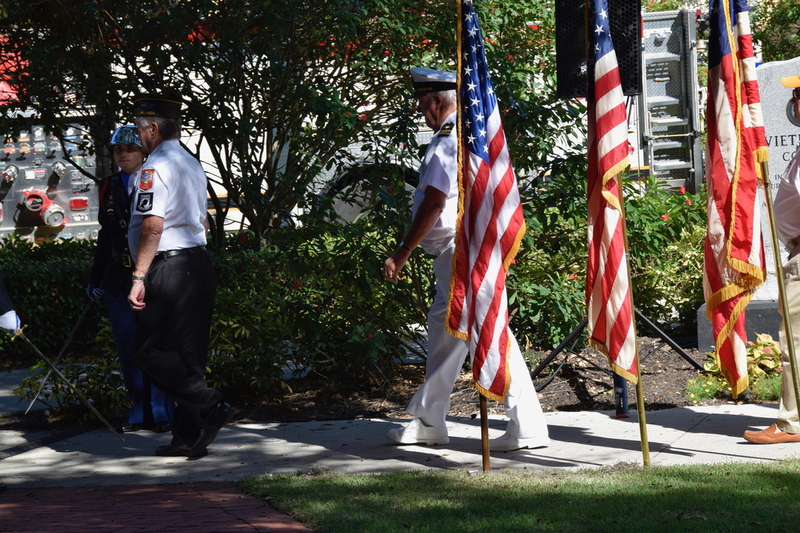 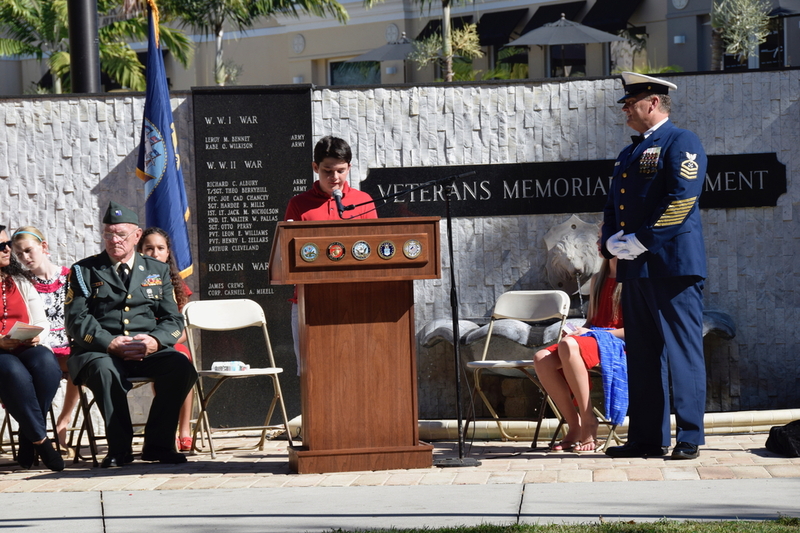 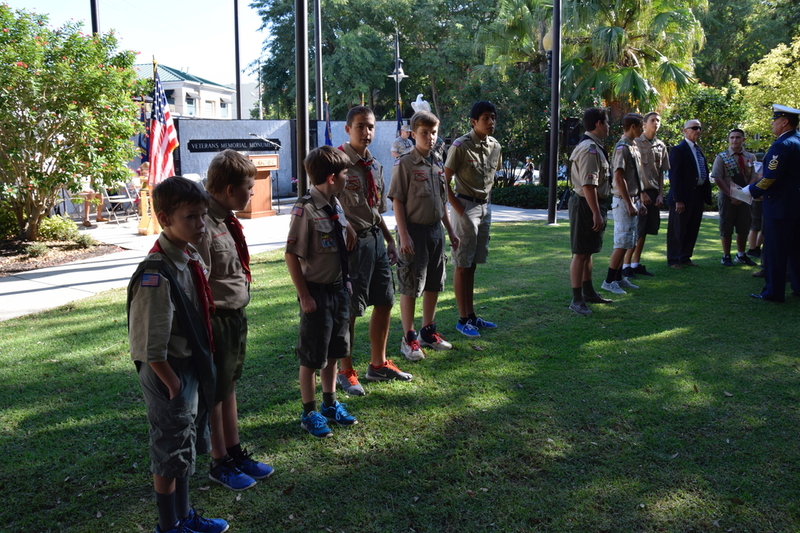 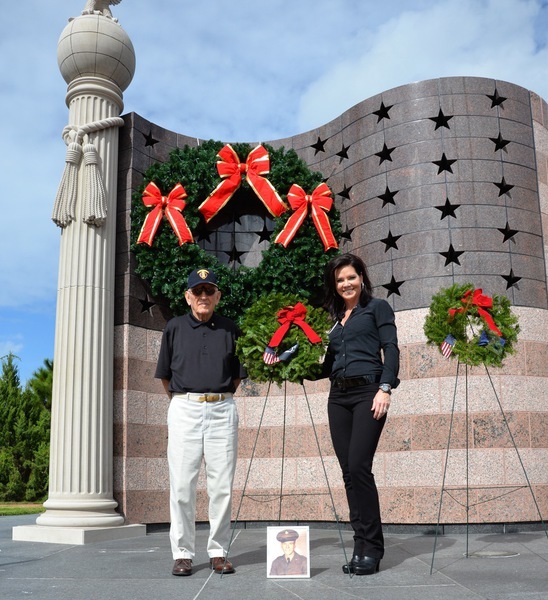 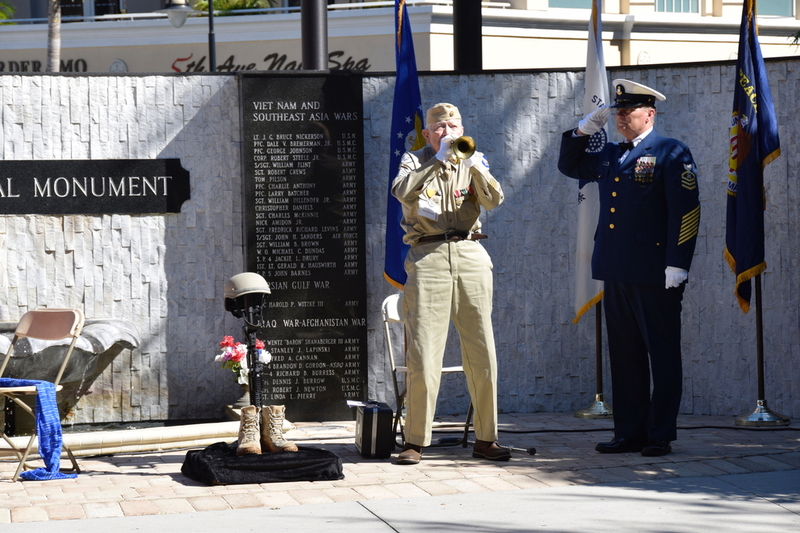 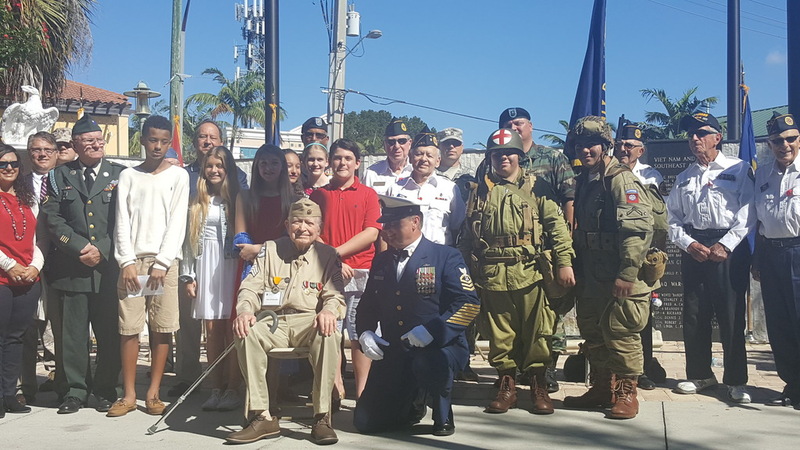 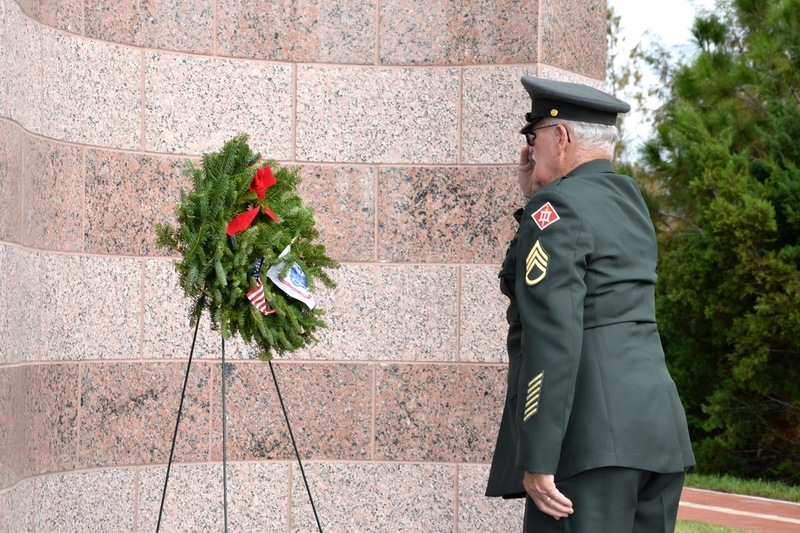 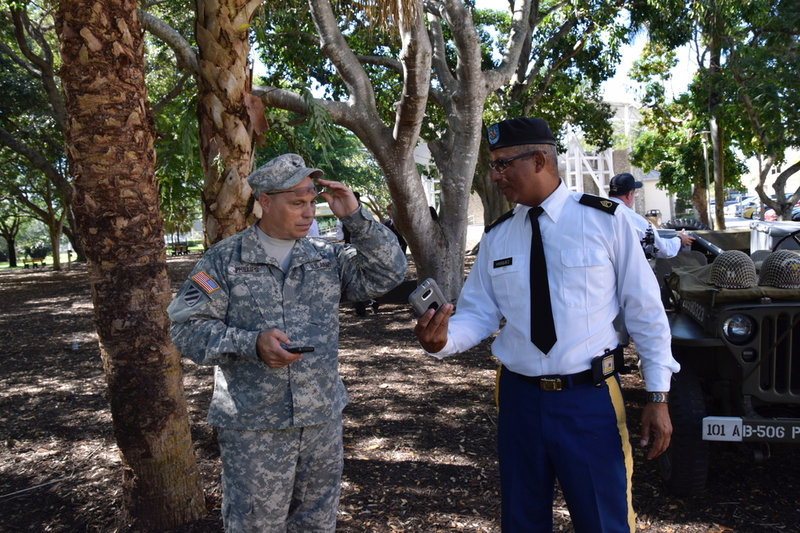 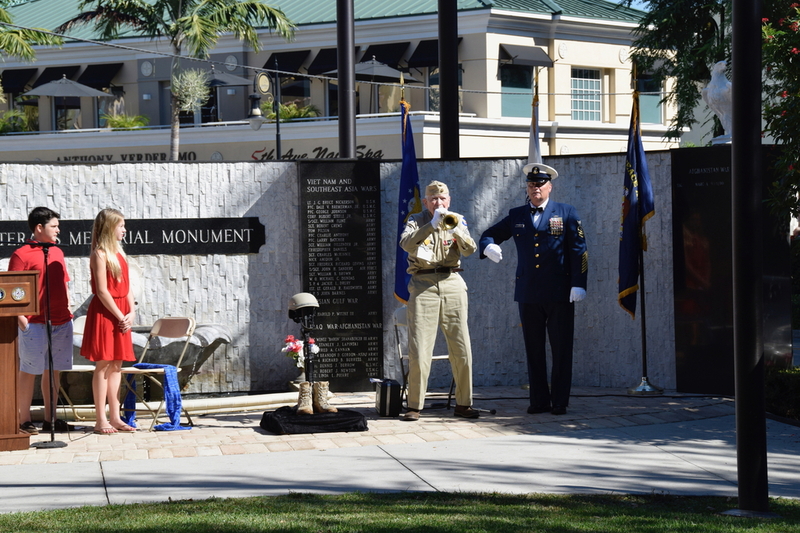 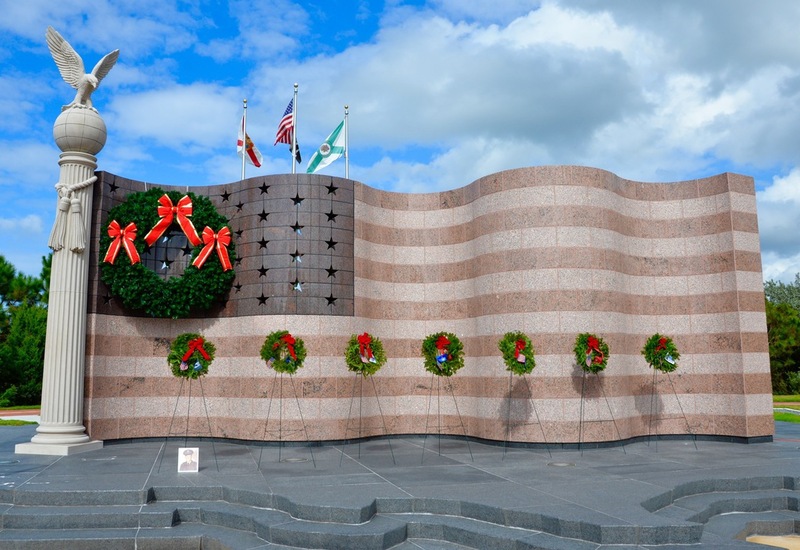 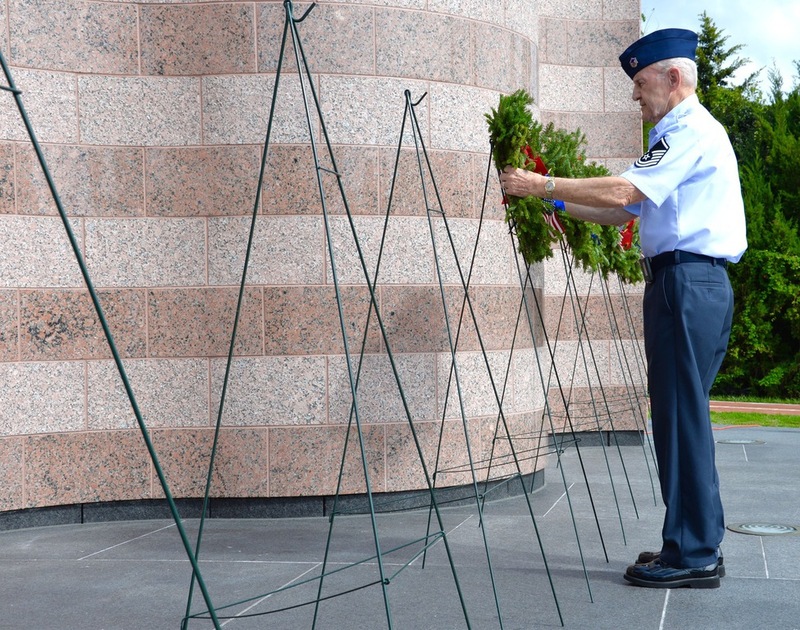 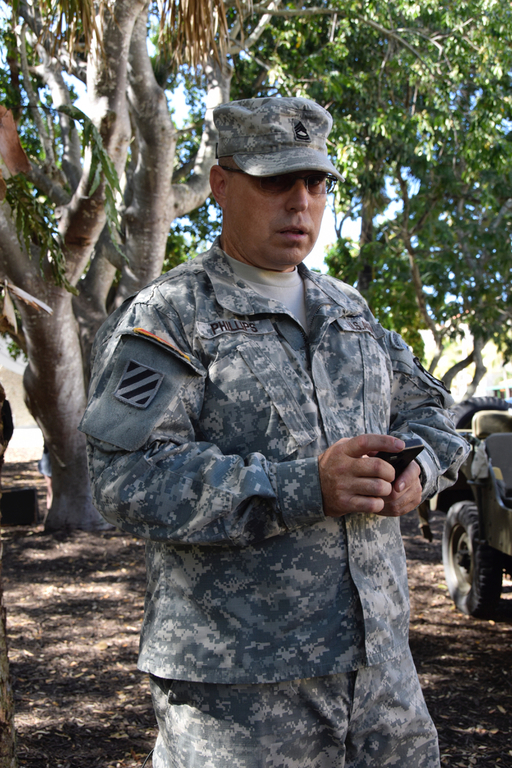 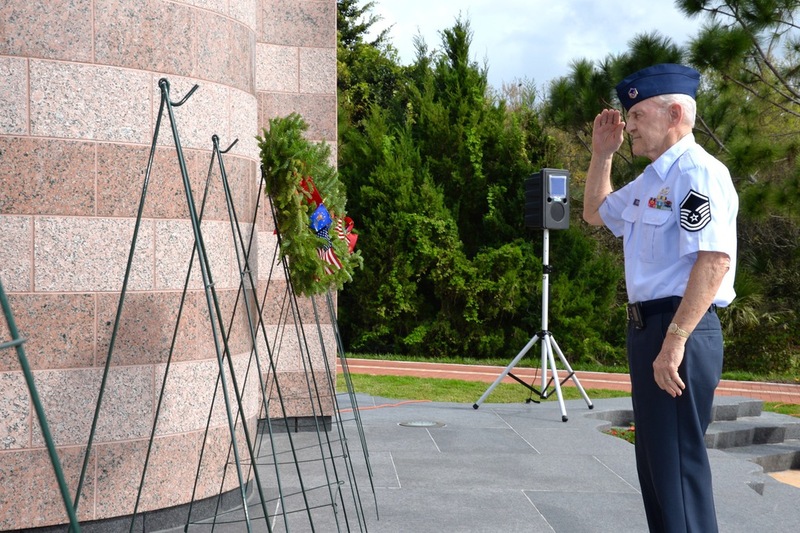 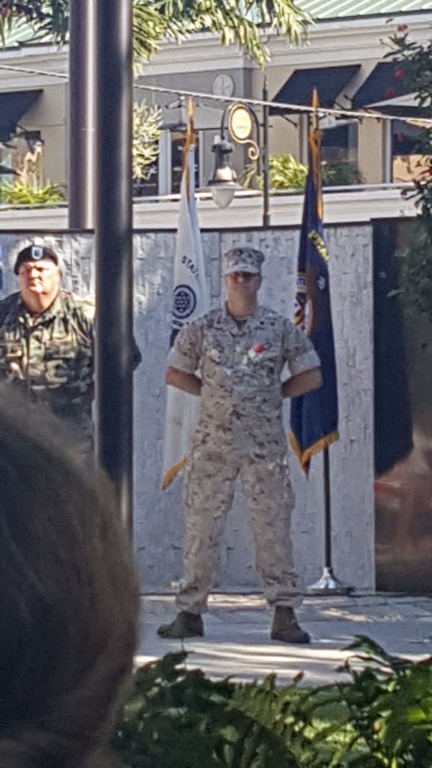 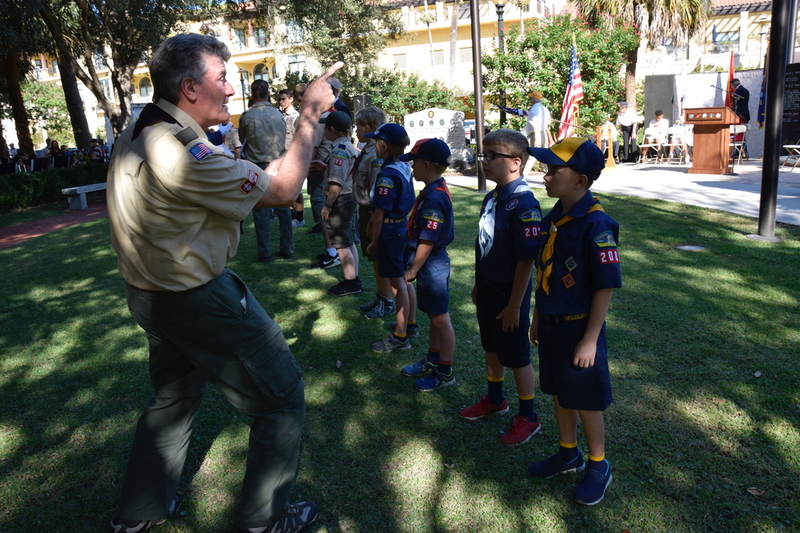 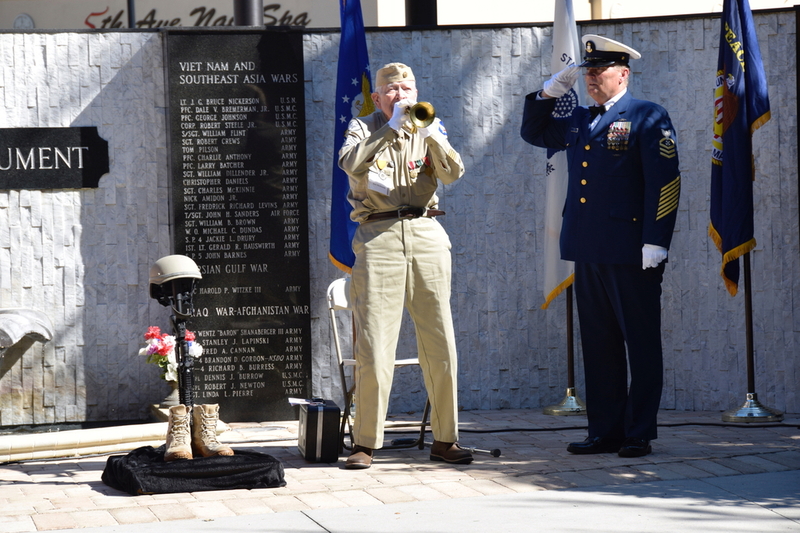 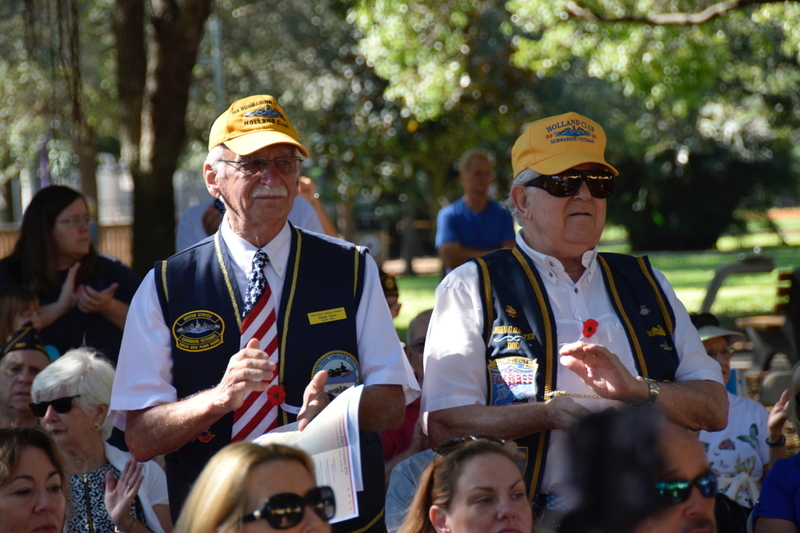 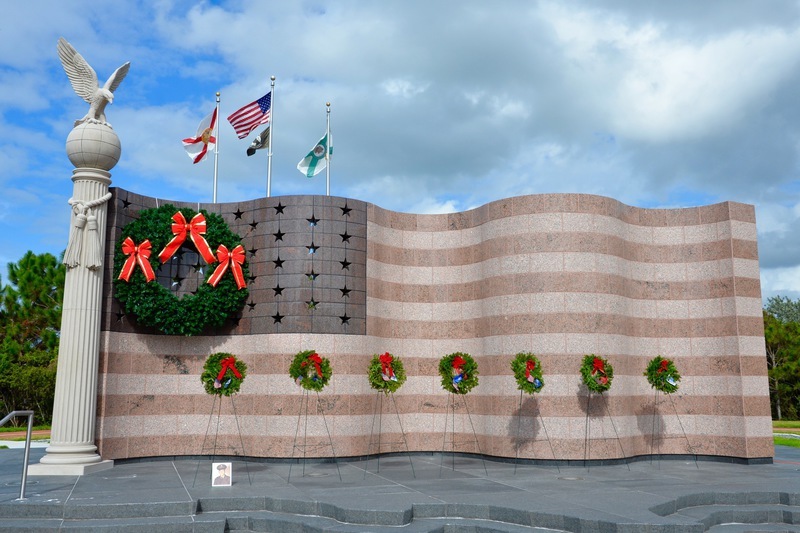 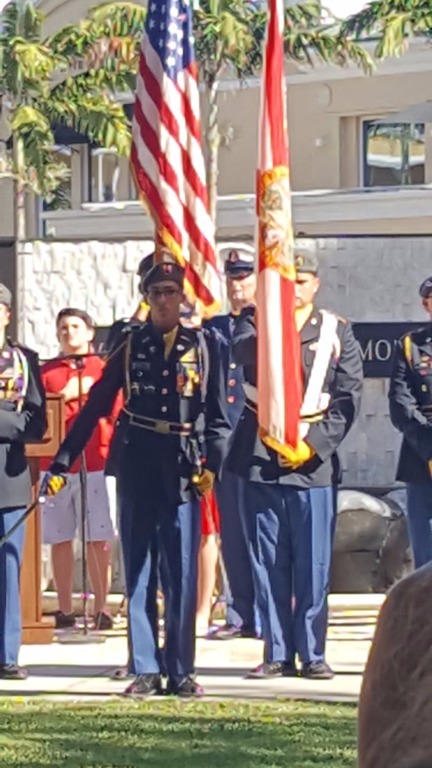 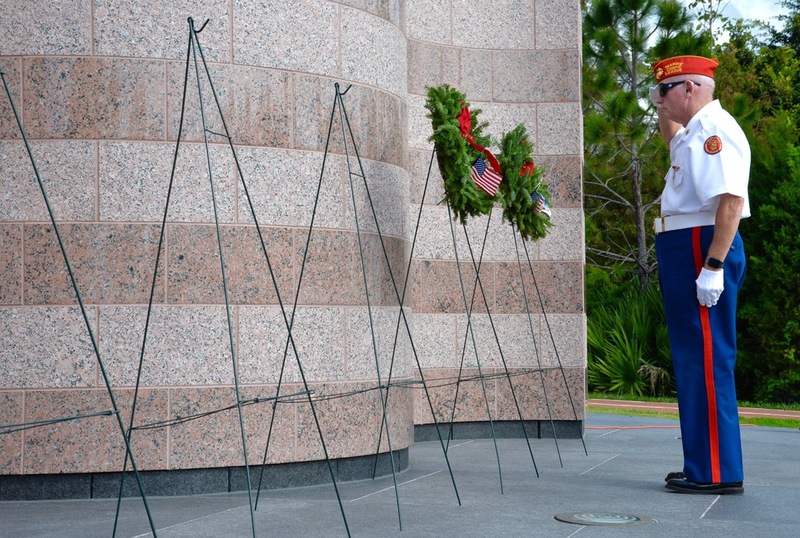 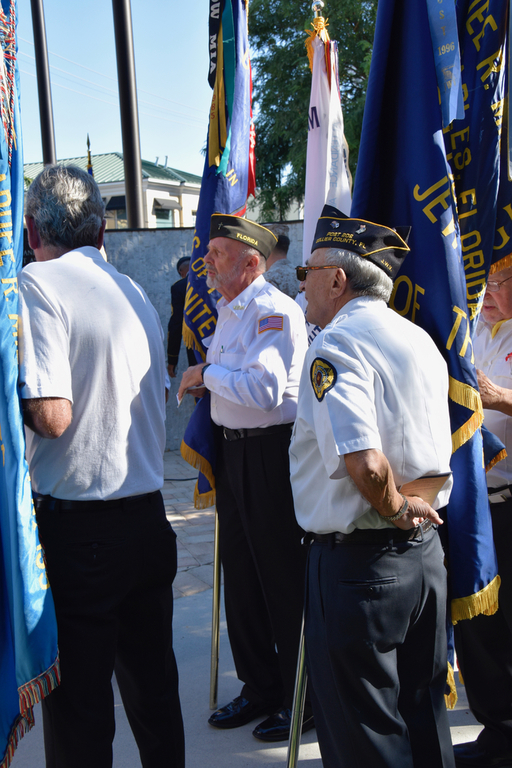 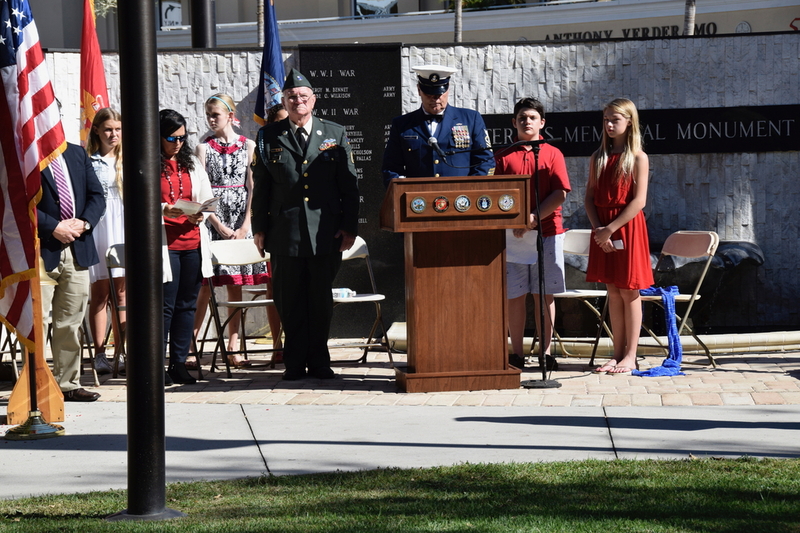 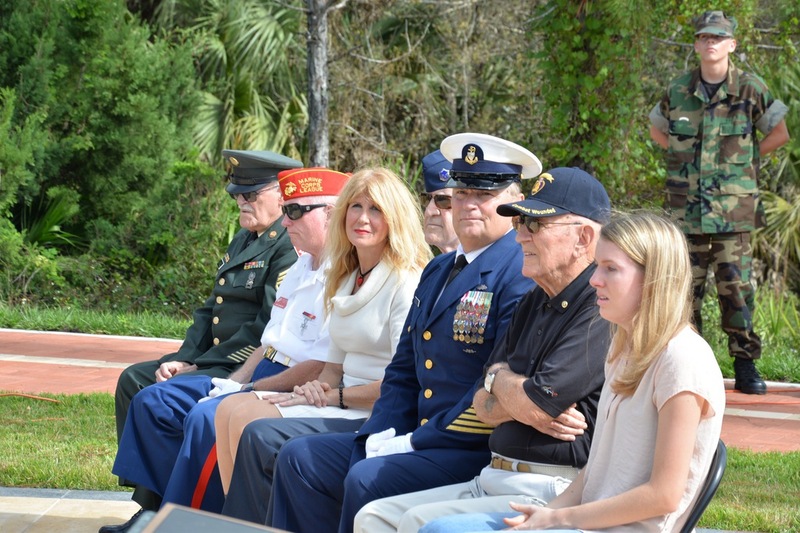 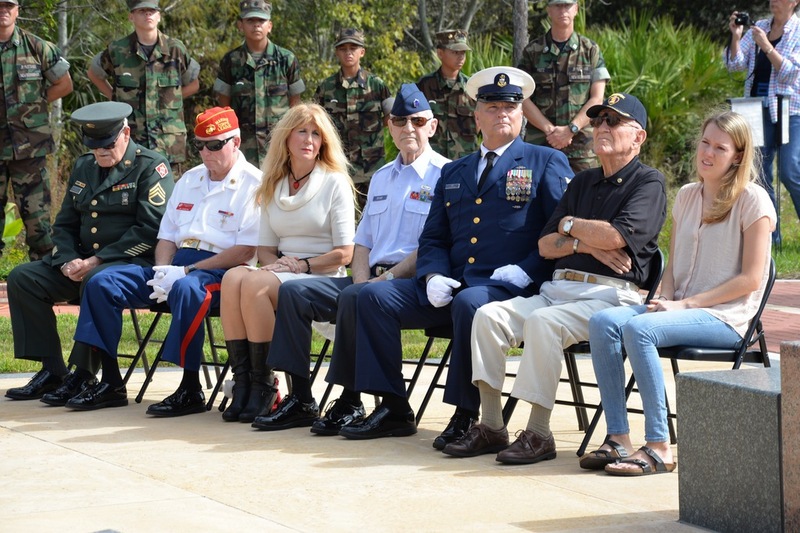 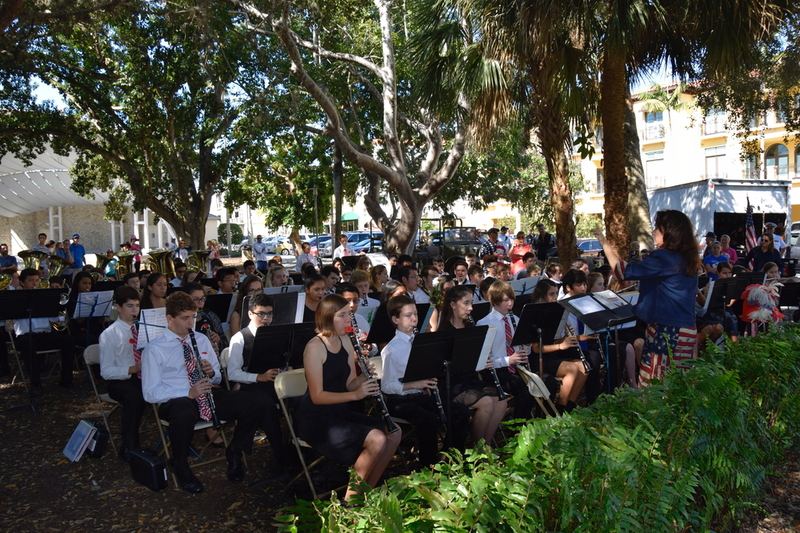 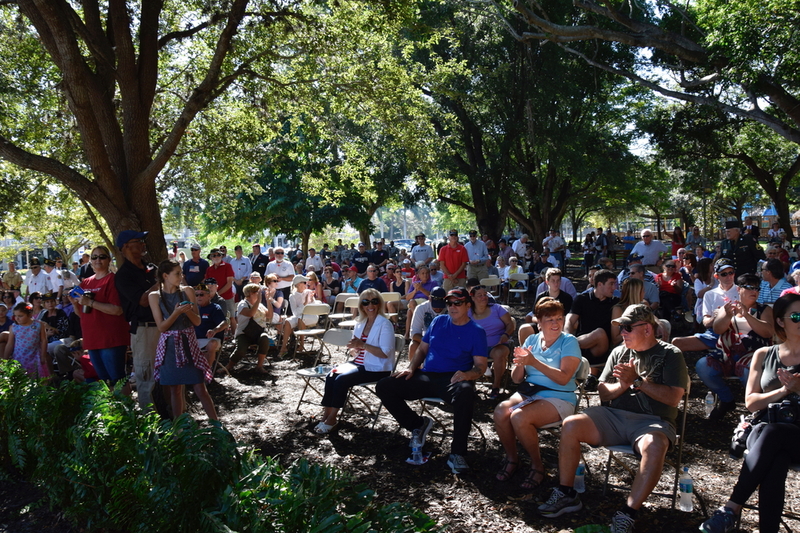 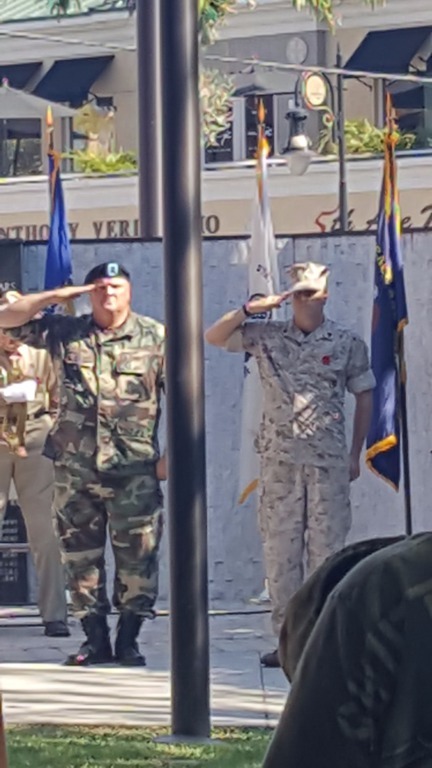 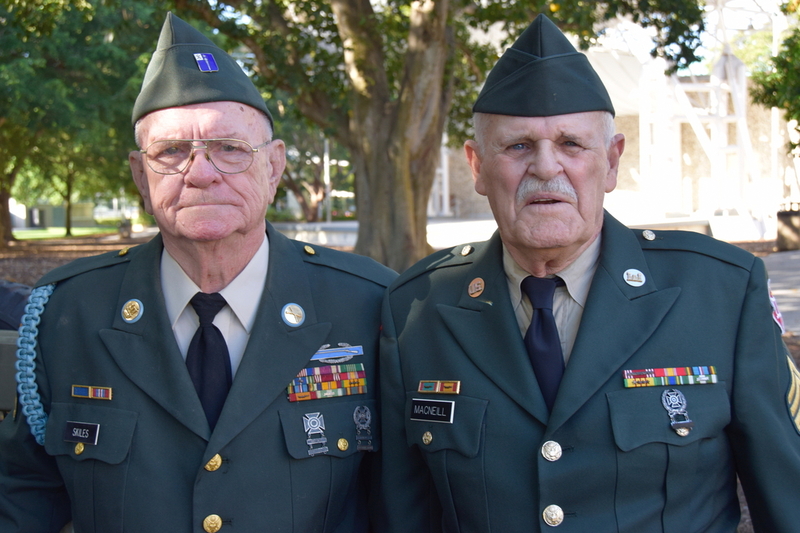 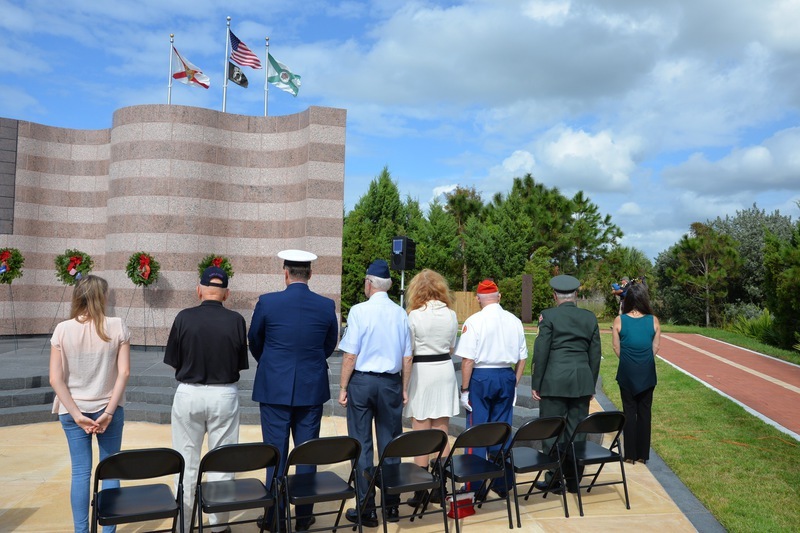 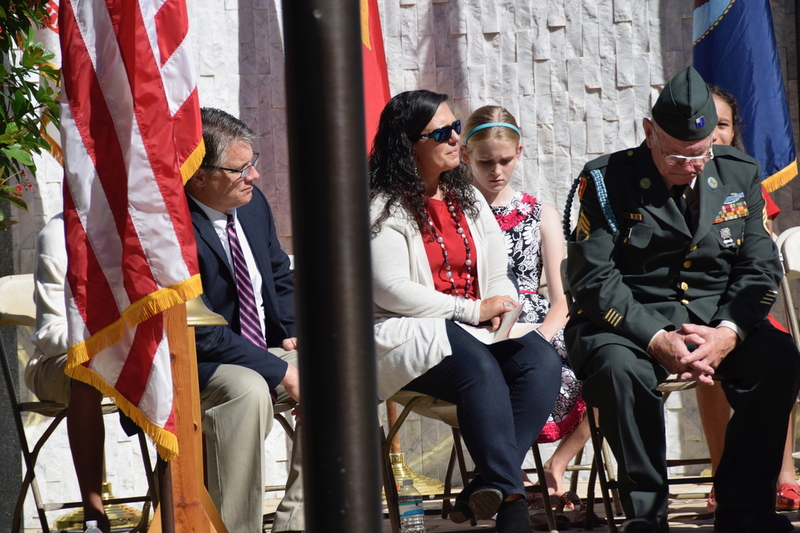 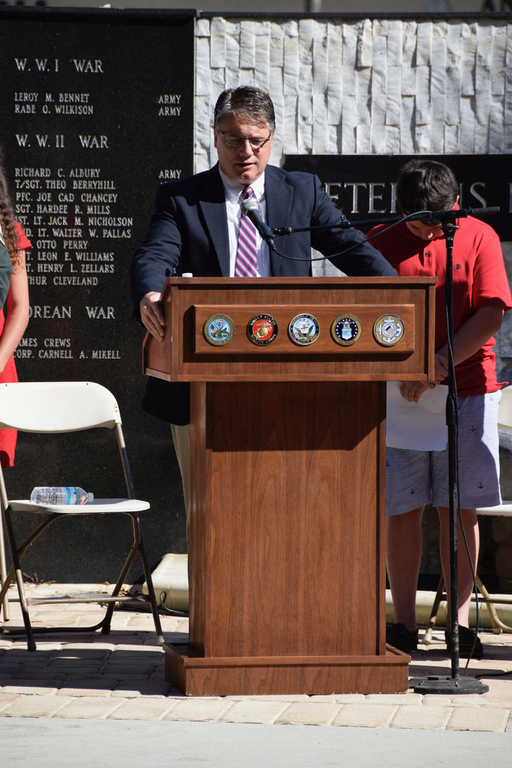 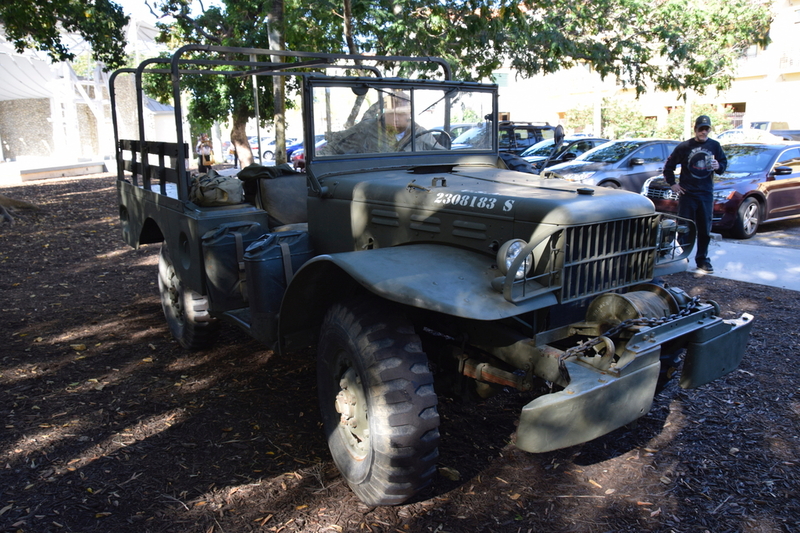 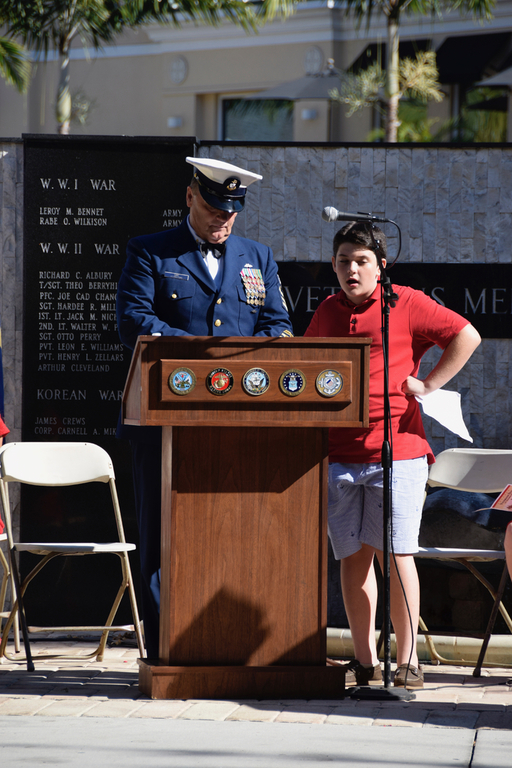 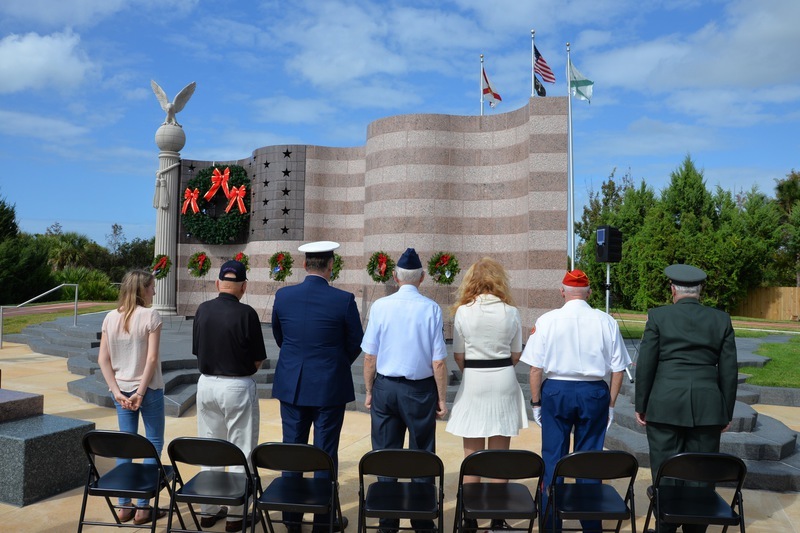 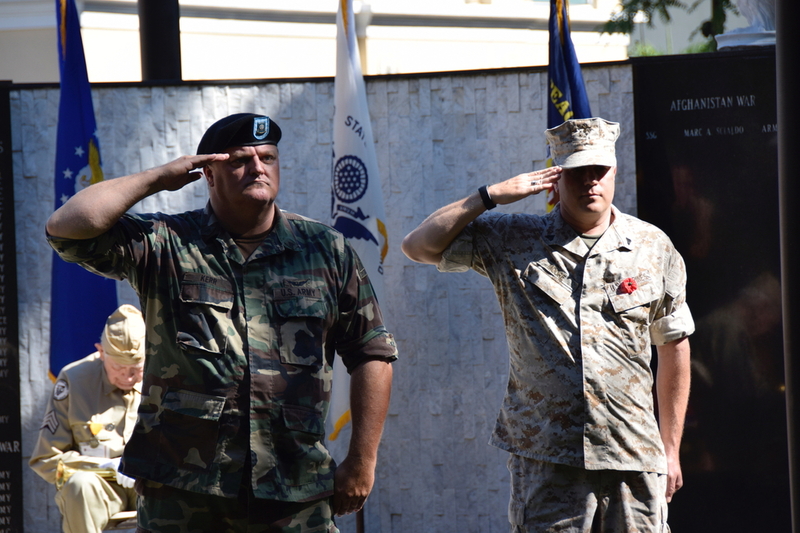 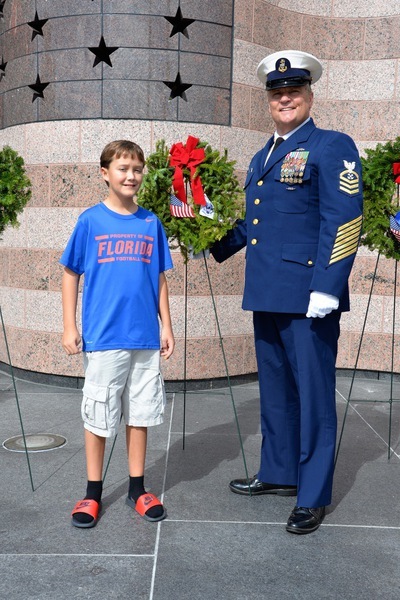 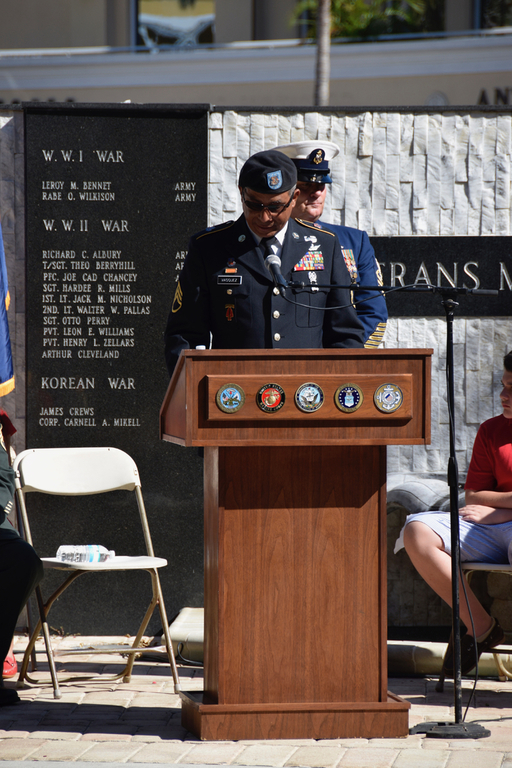 2016's best Veterans Day celebration was held at Cambier Park. 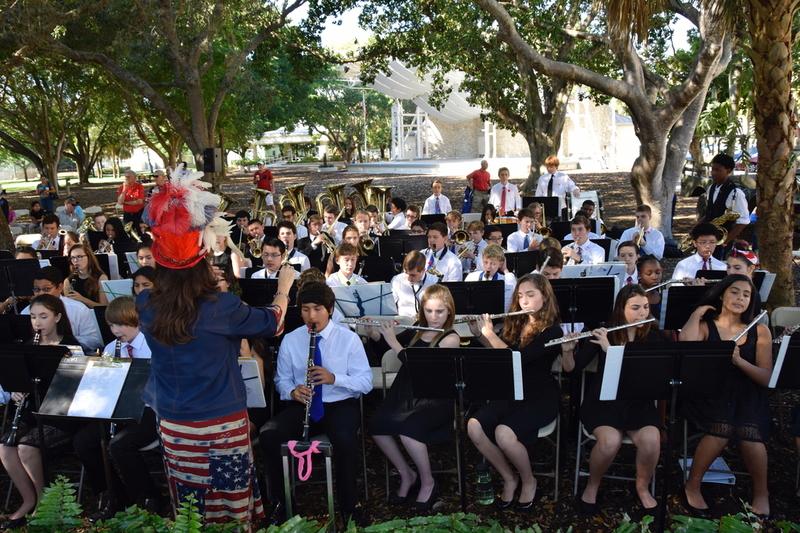 Photos by Deborah Gallagher and Don Peacock. 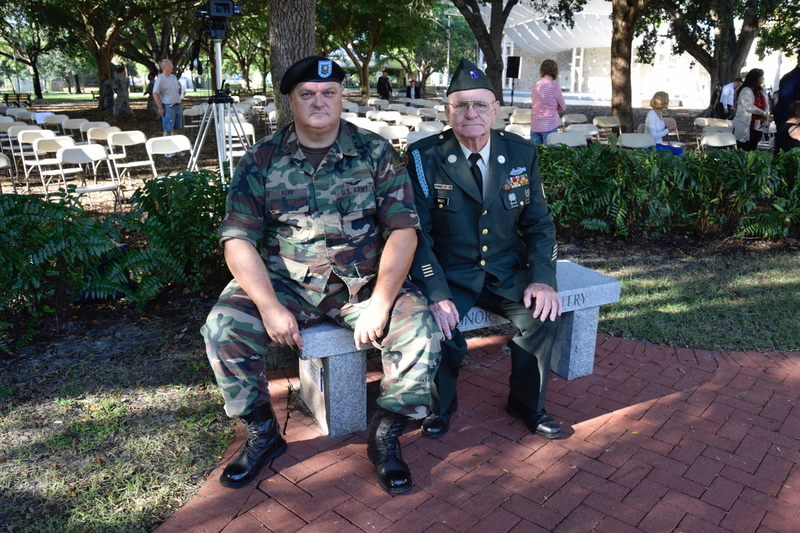 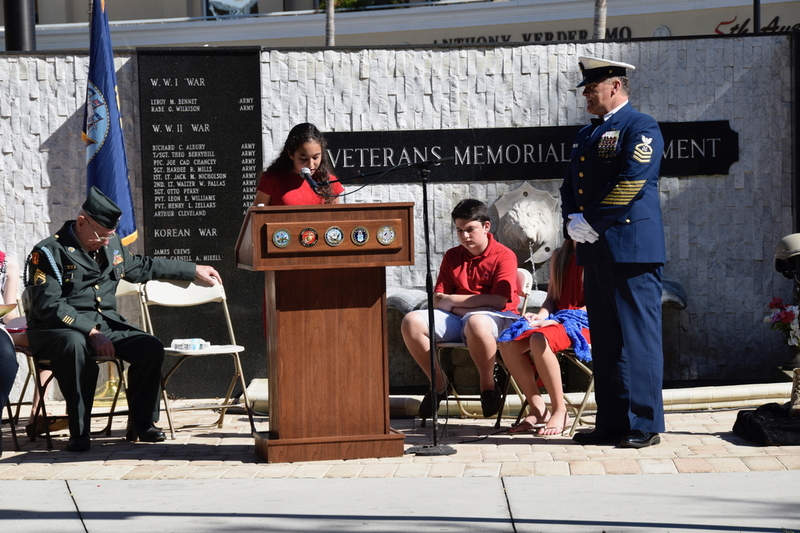 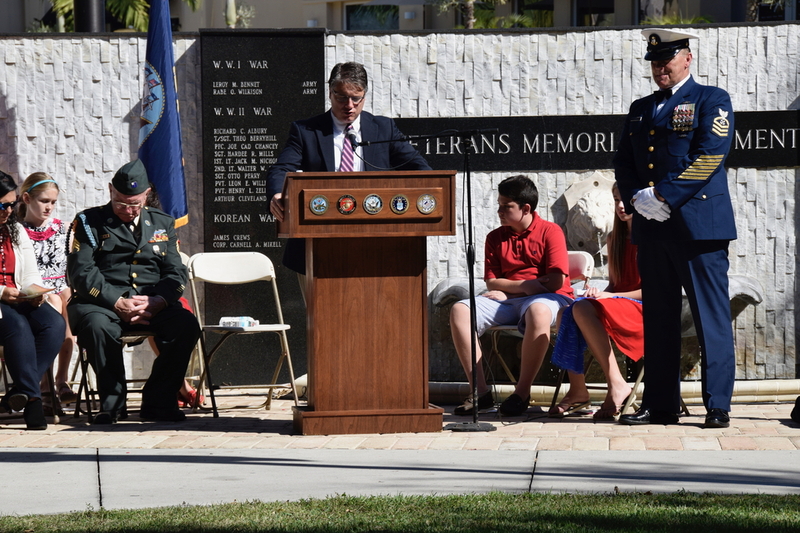 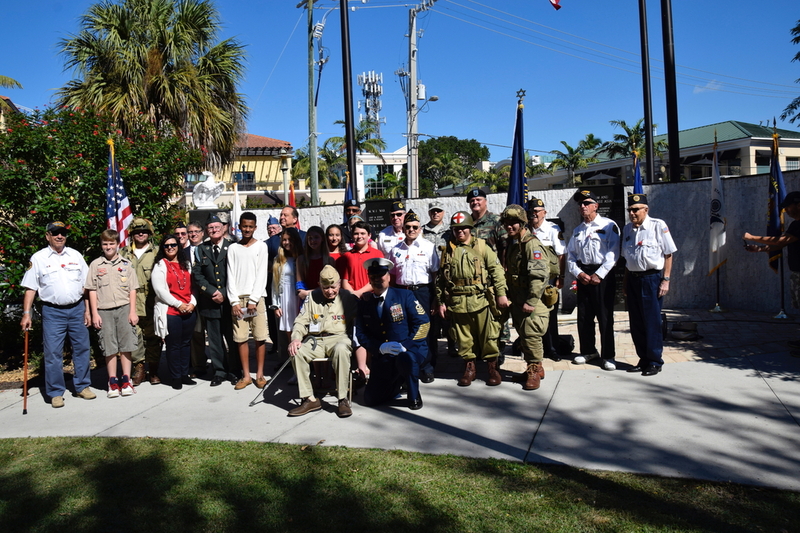 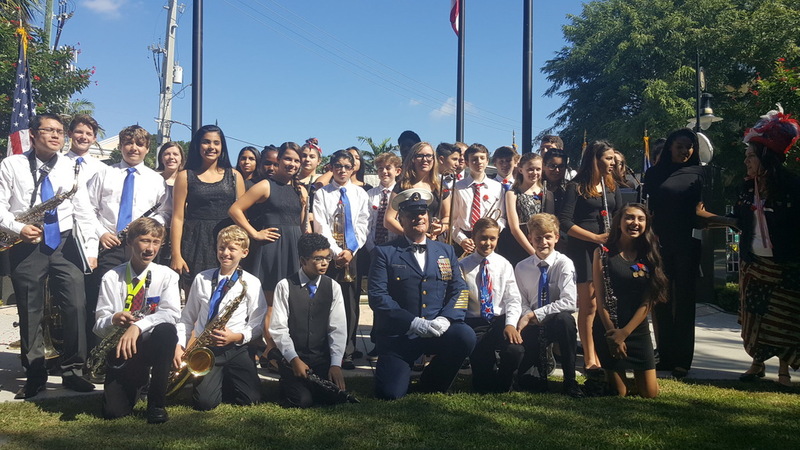 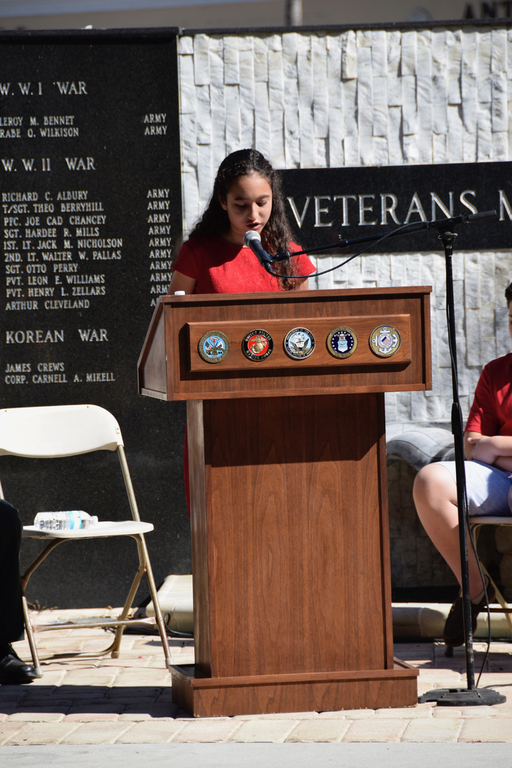 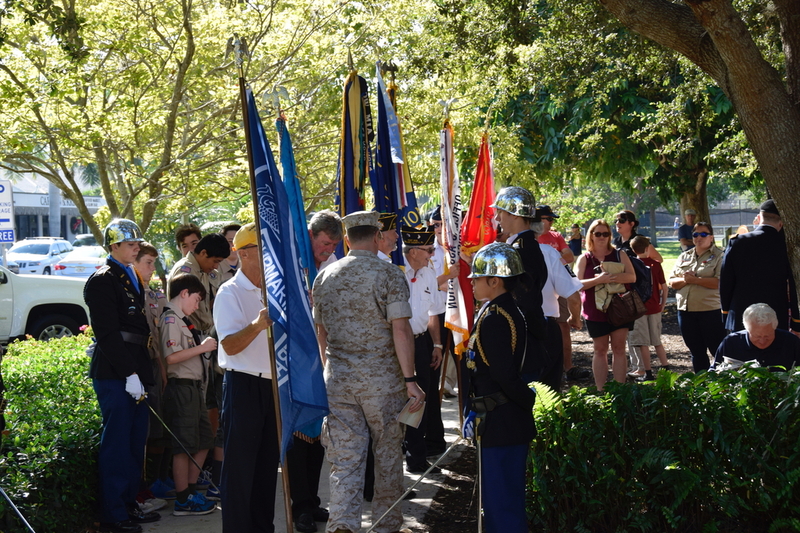 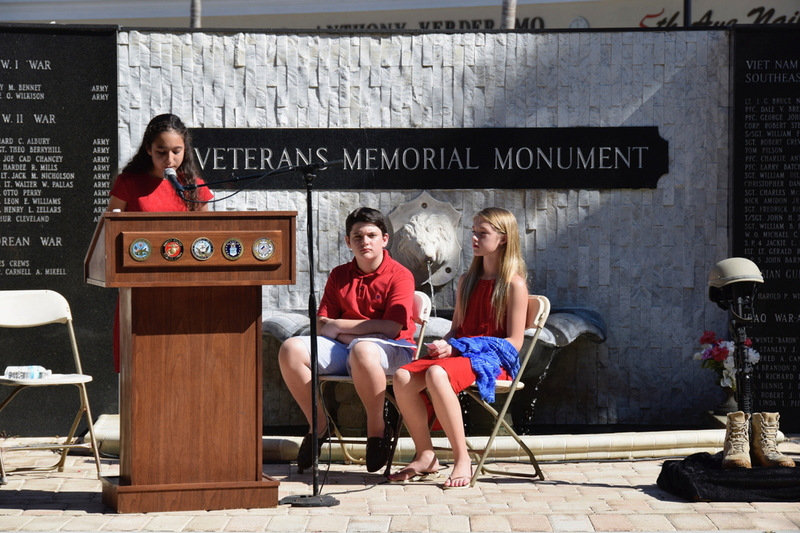 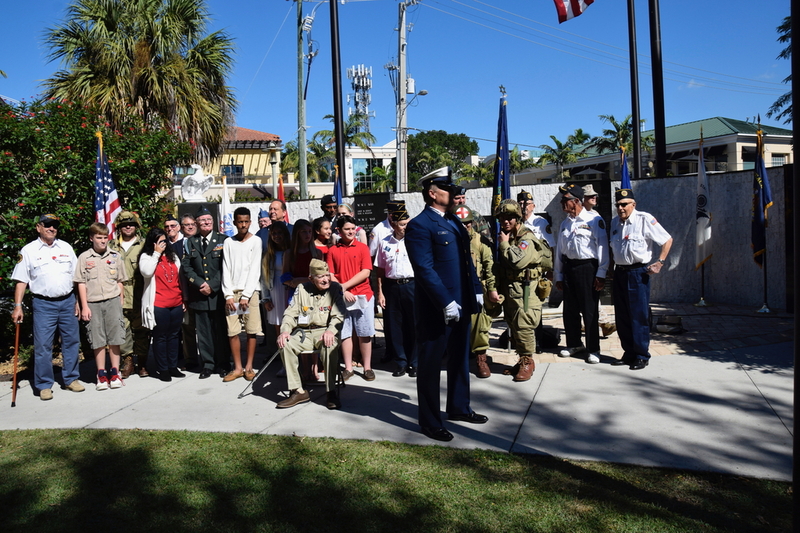 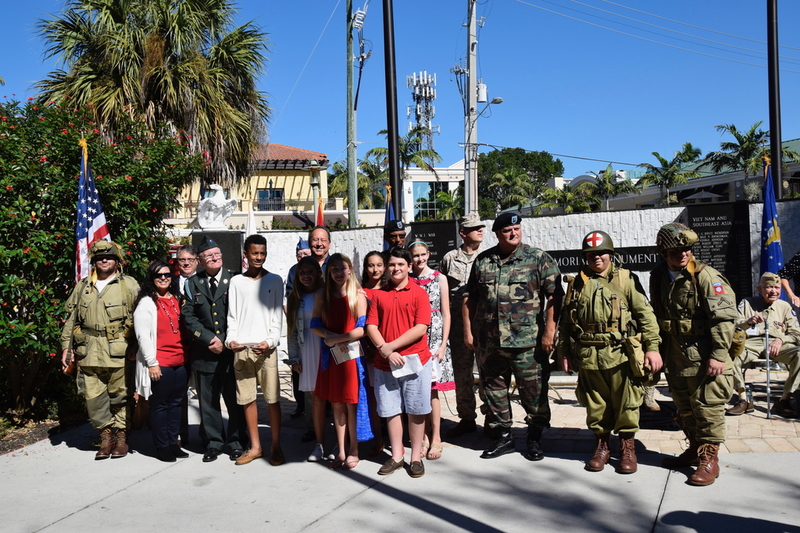 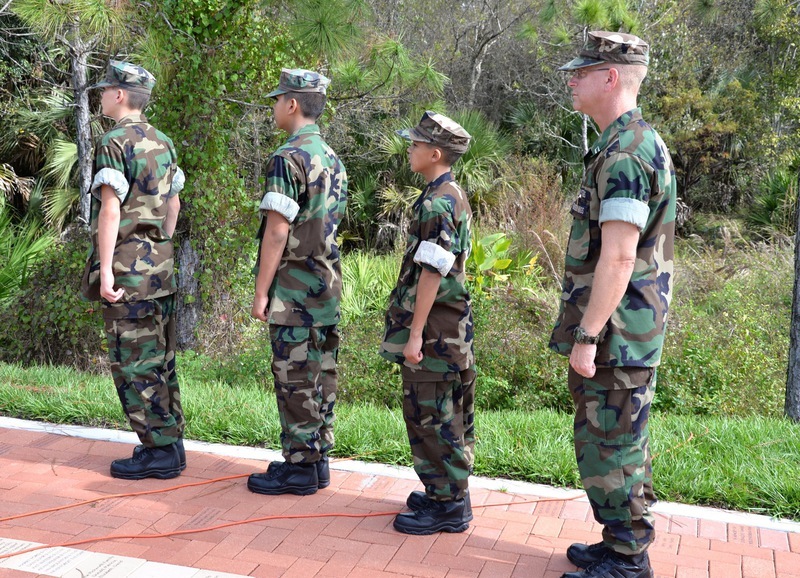 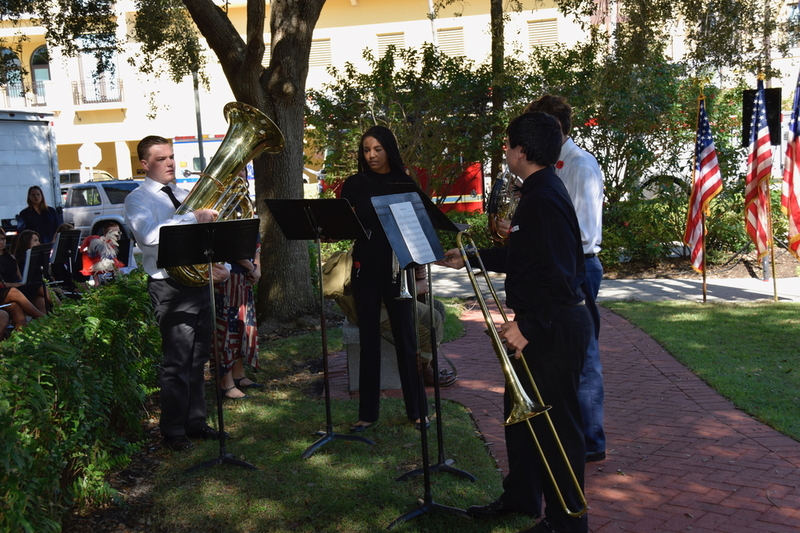 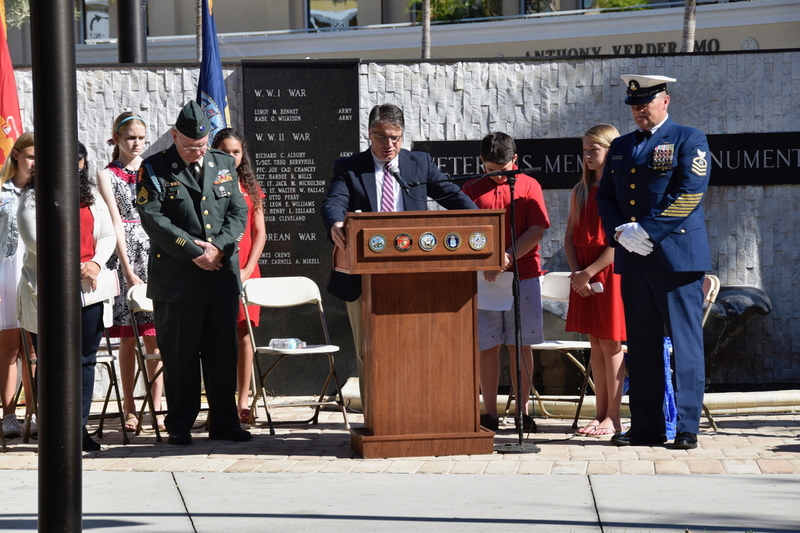 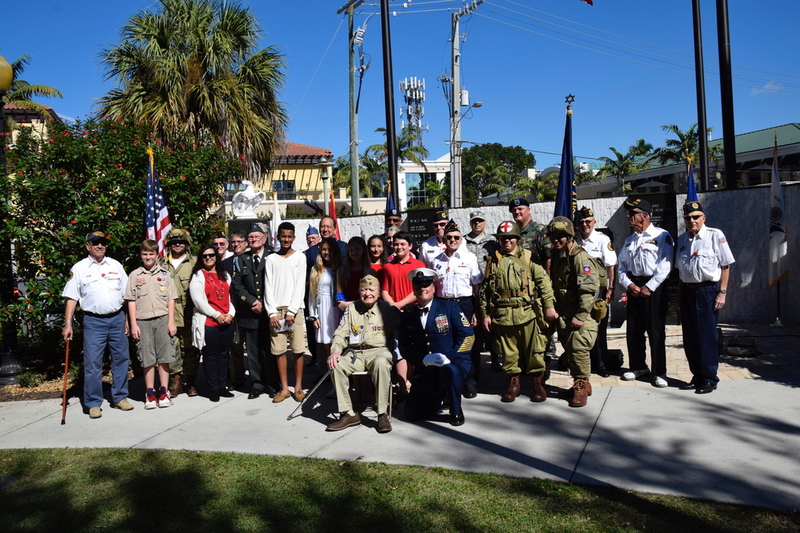 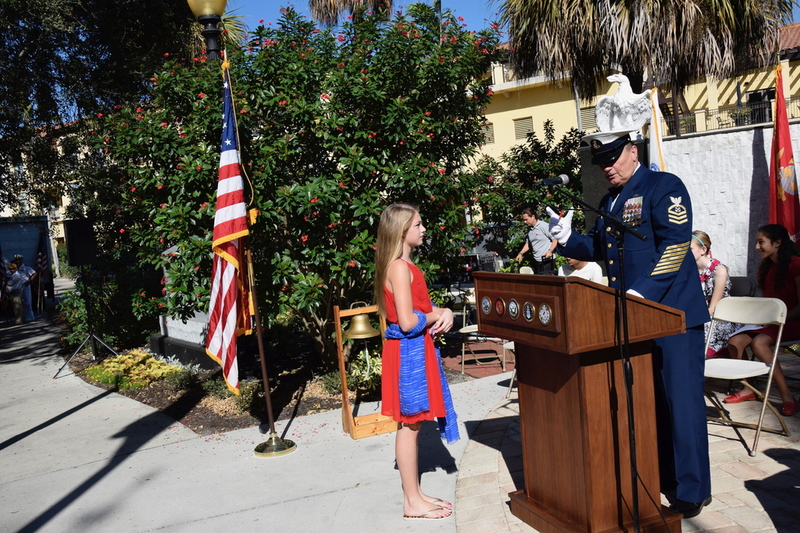 Gulfview Middle School invited several members to a Veterans Appreciation Ceremony on the morning of Veterans Day. 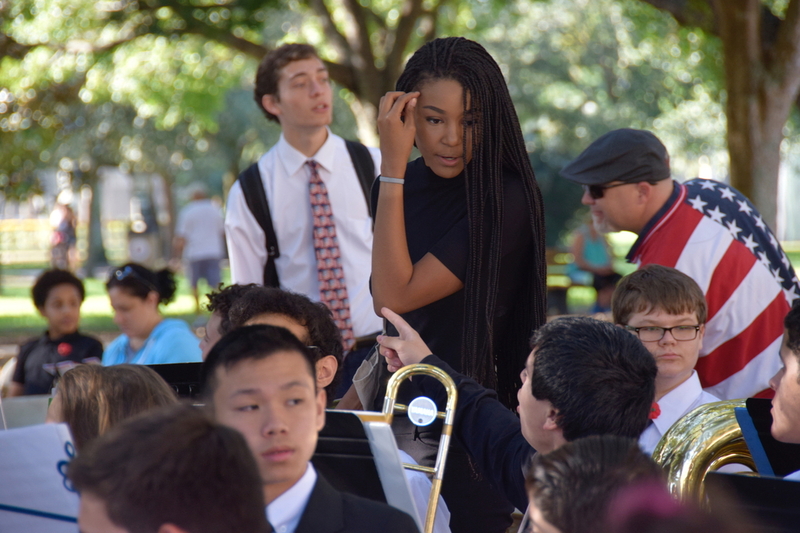 Photos by Deltys Powers. 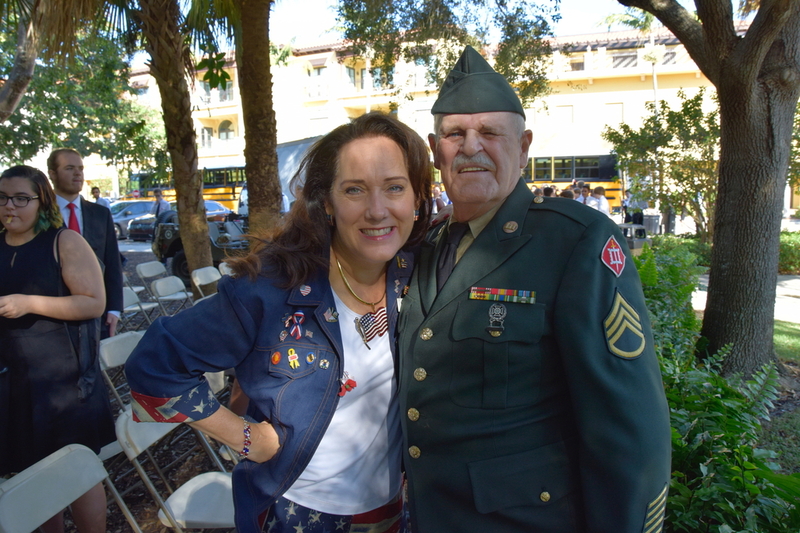 Special thanks to Don Peacock for sharing his photos. 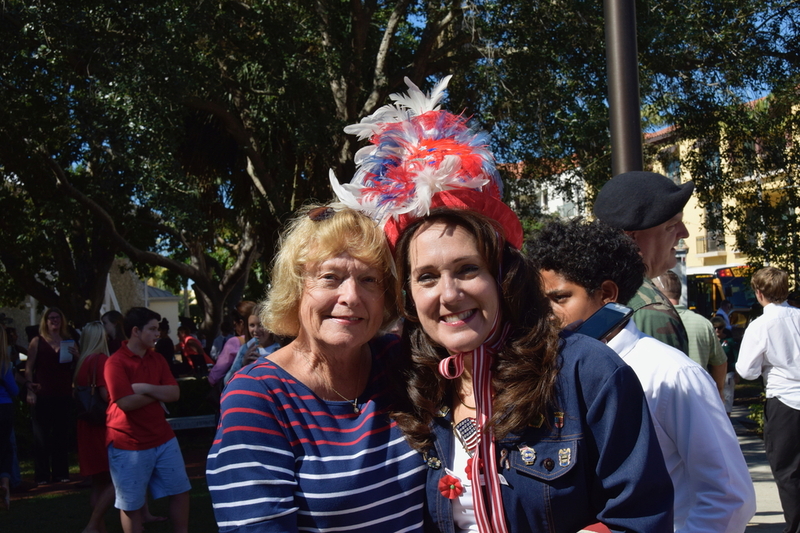 Special thanks to Heather Corace for her photos.